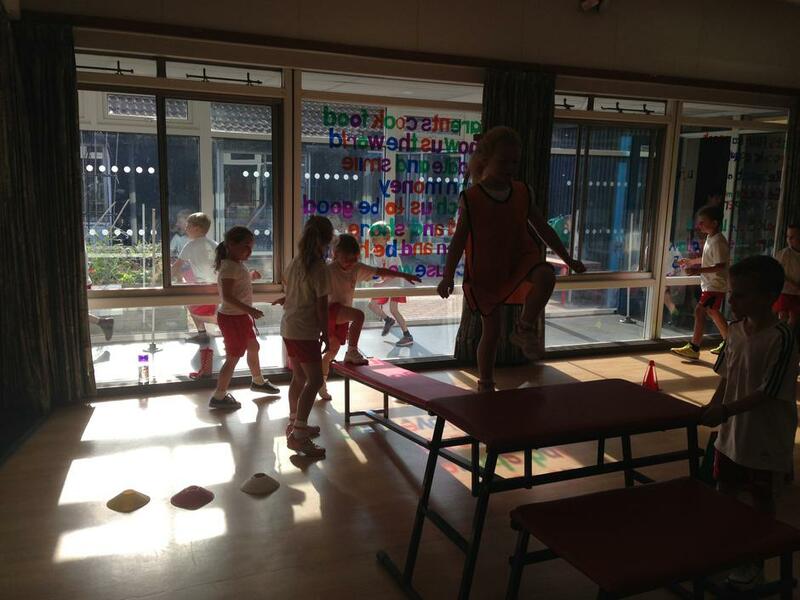 Welcome to the Cheetahs Class Page! 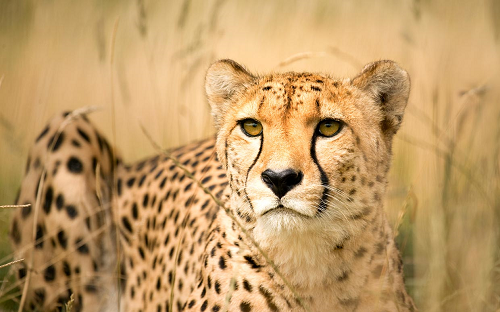 Hello and welcome to the Cheetah class page. 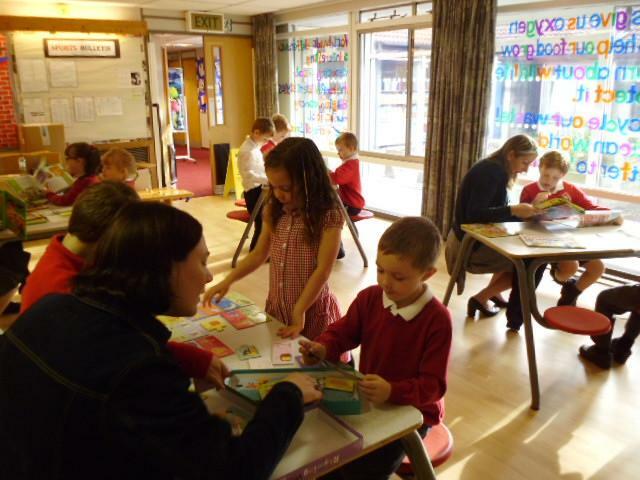 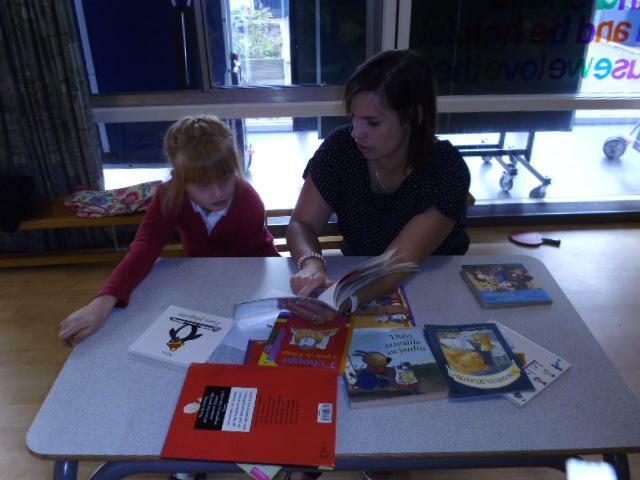 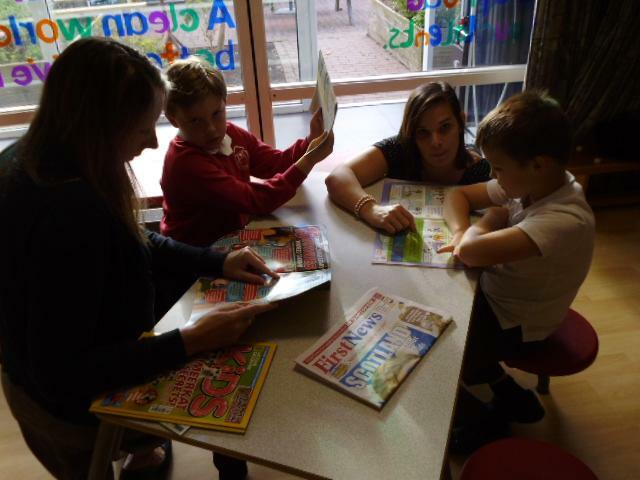 and our lovely teaching assistants are Mrs Cowlishaw and Mrs Wheatley. 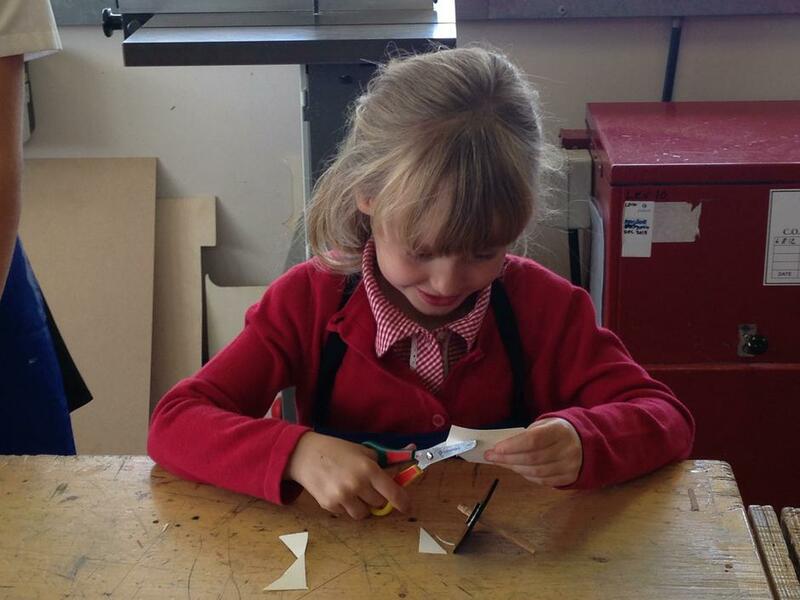 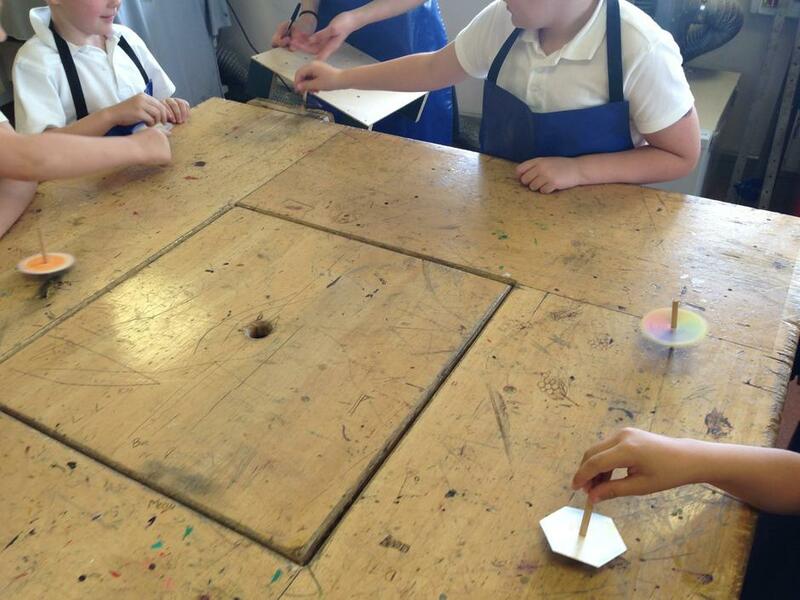 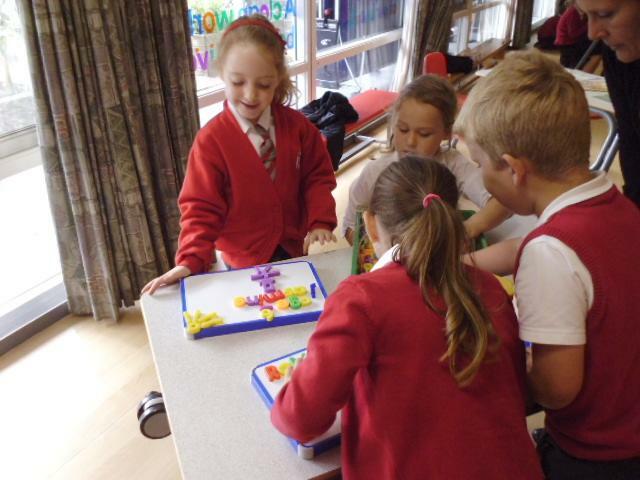 having fun and being creative too! 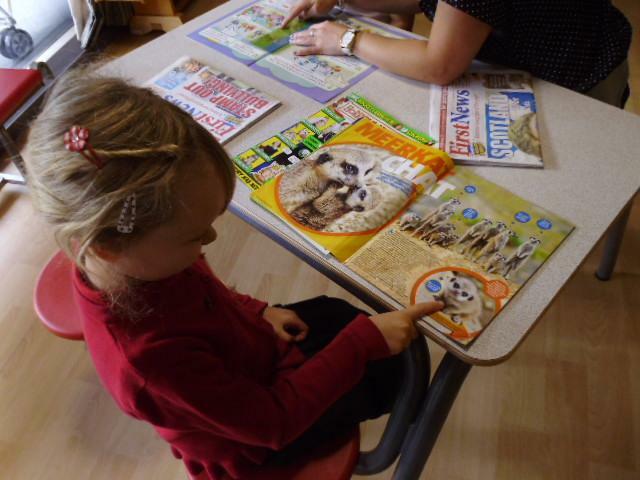 On our page you will find exciting class news, pictures of things we’ve done, important dates and events in the Cheetah calendar plus much much more. 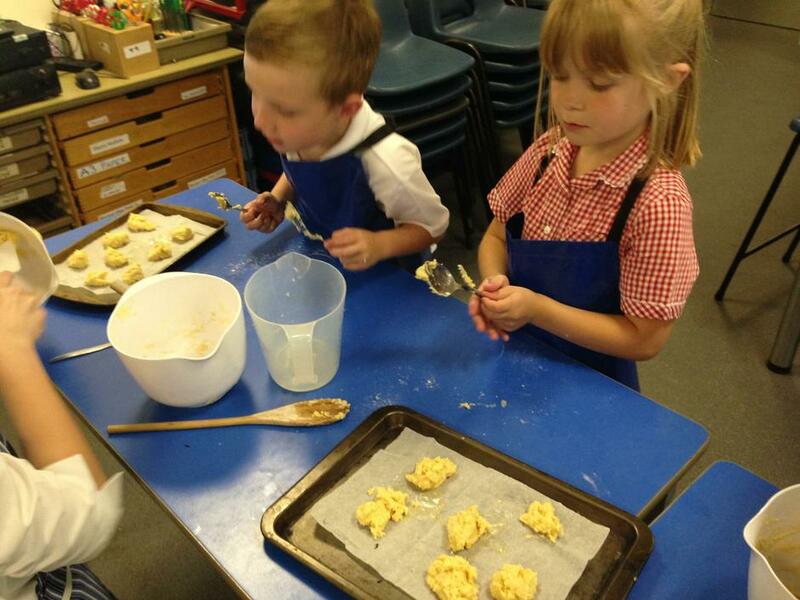 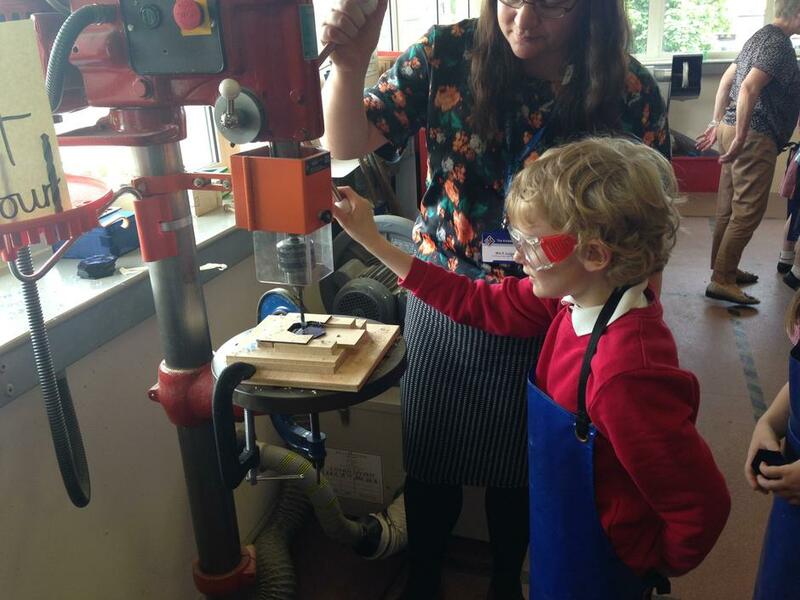 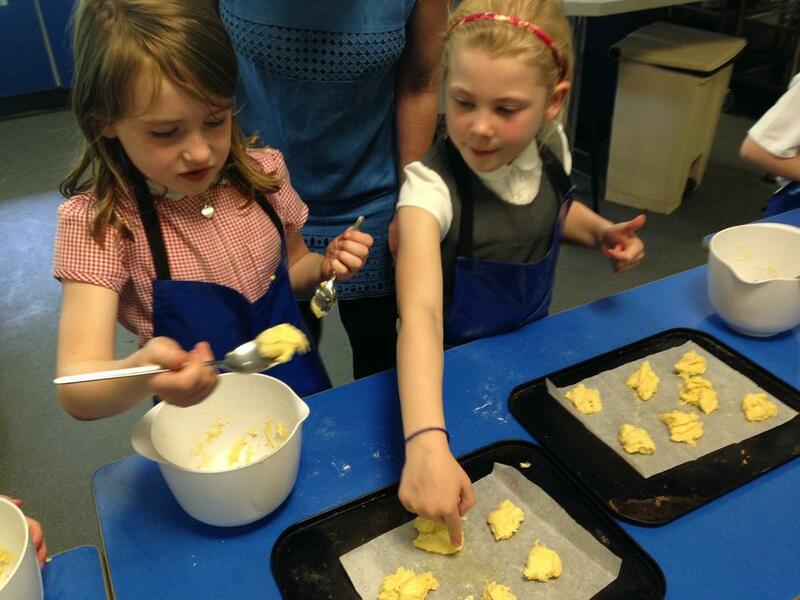 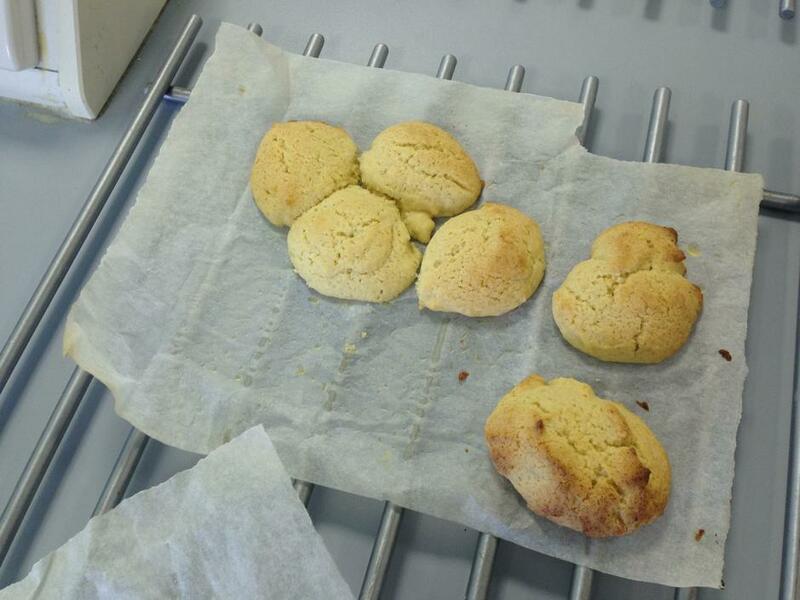 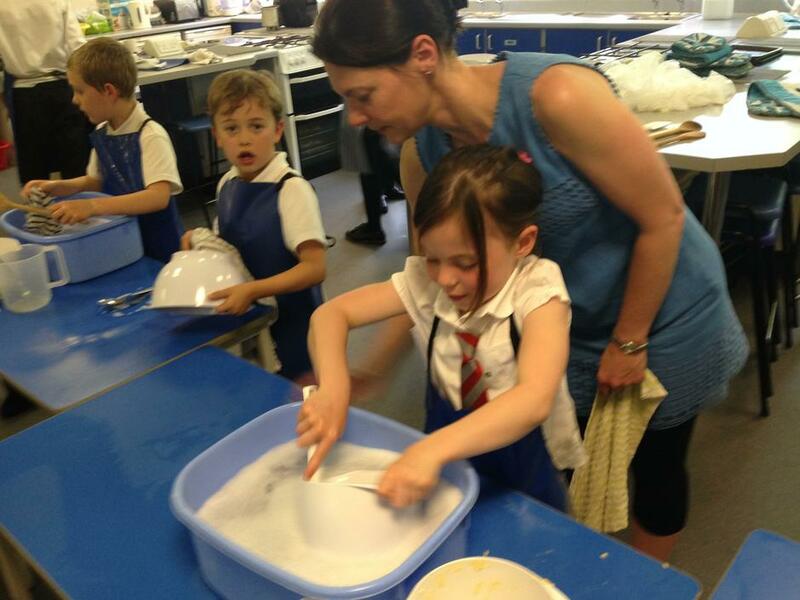 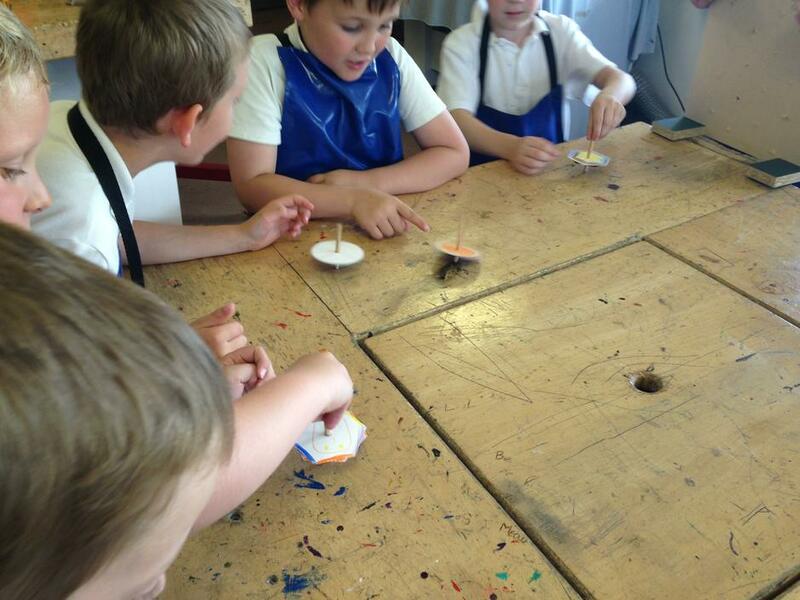 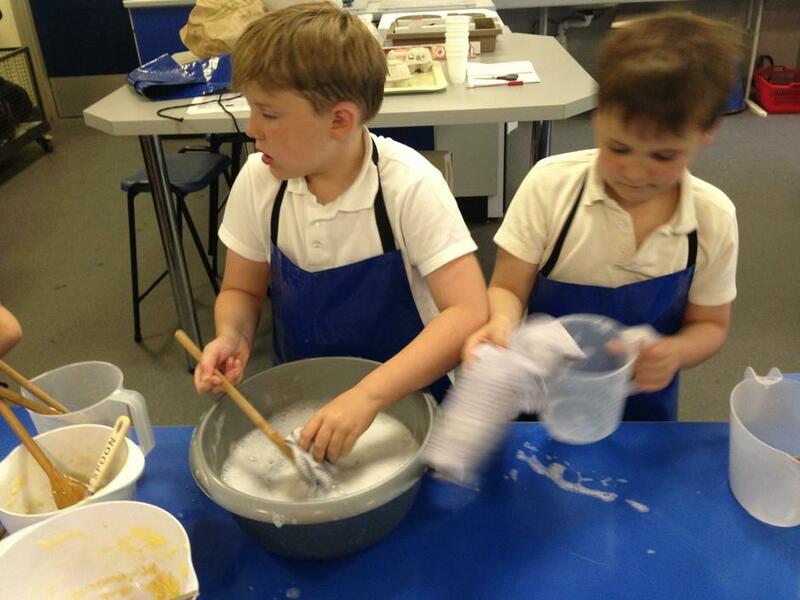 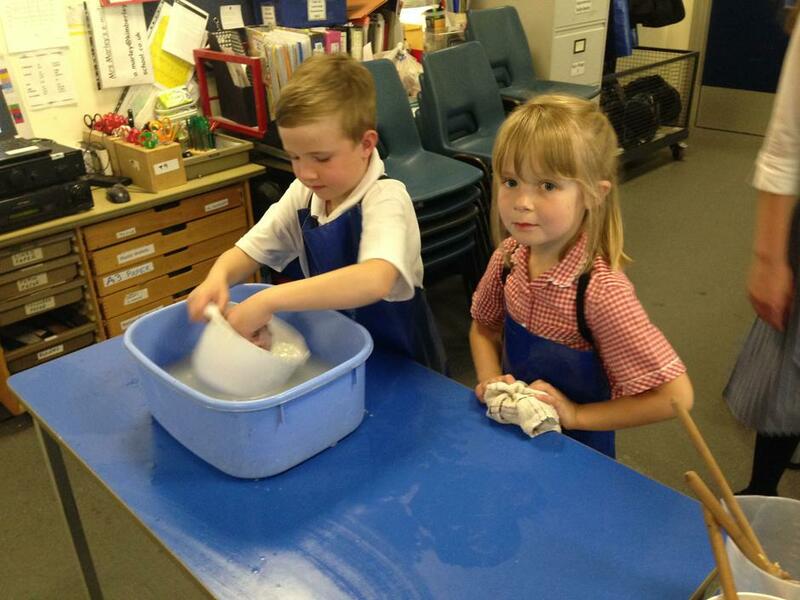 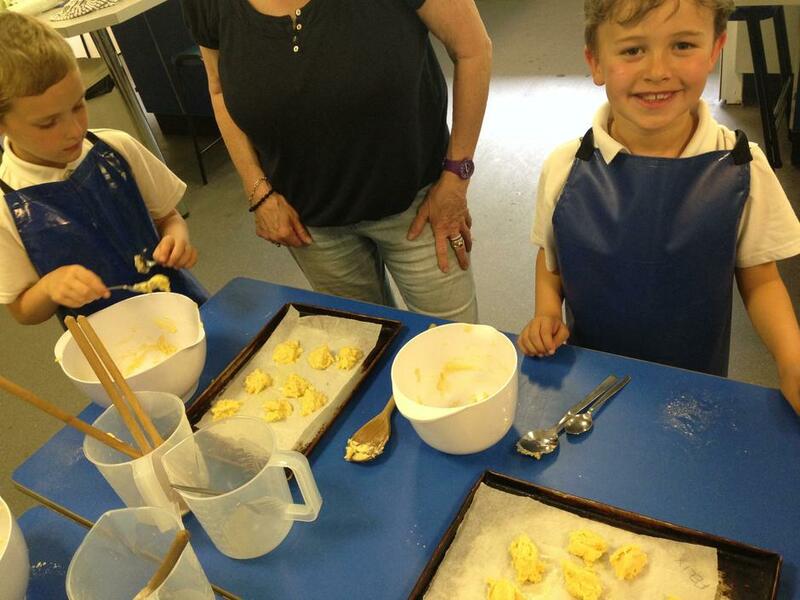 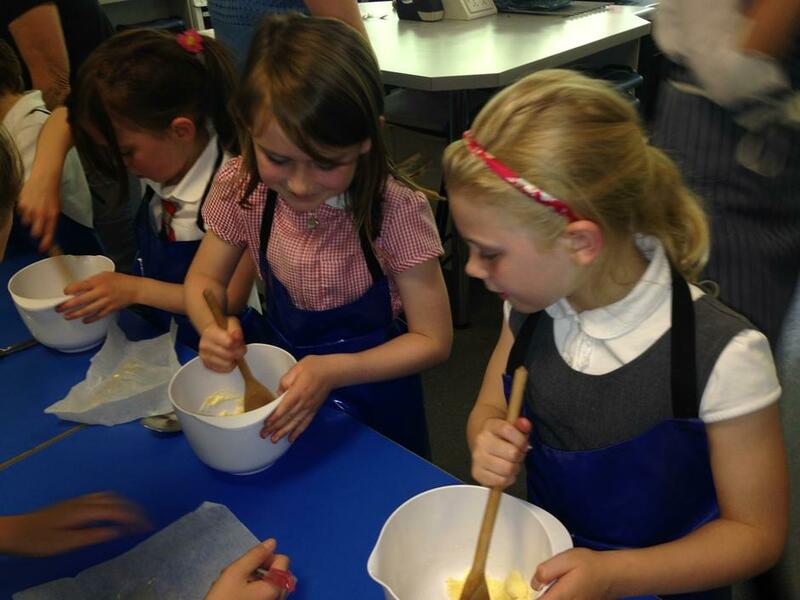 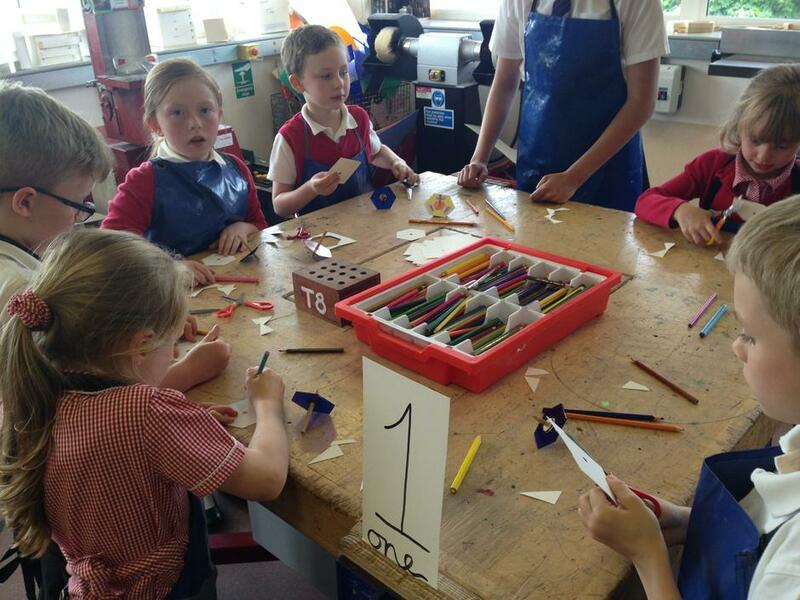 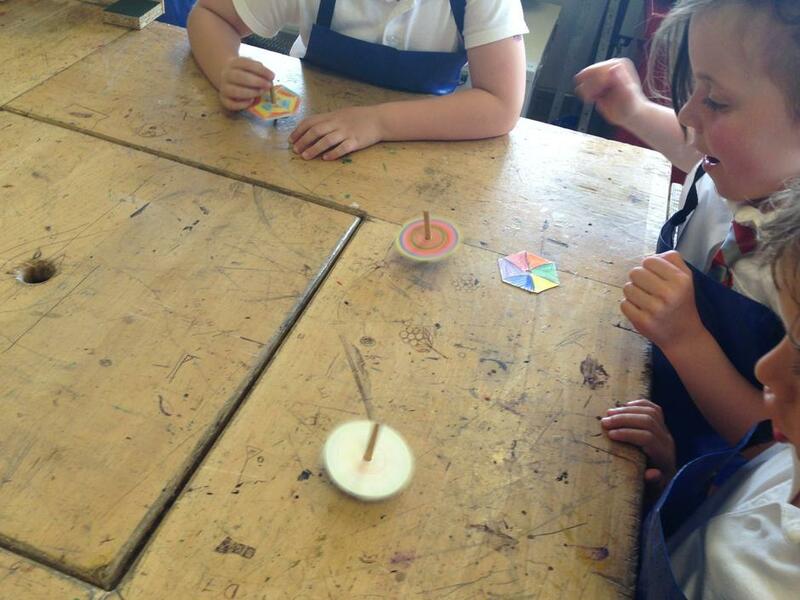 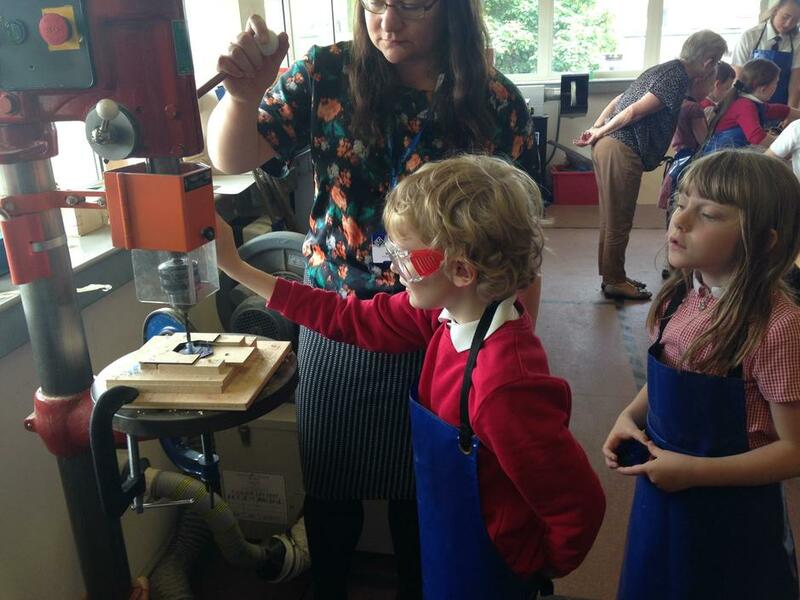 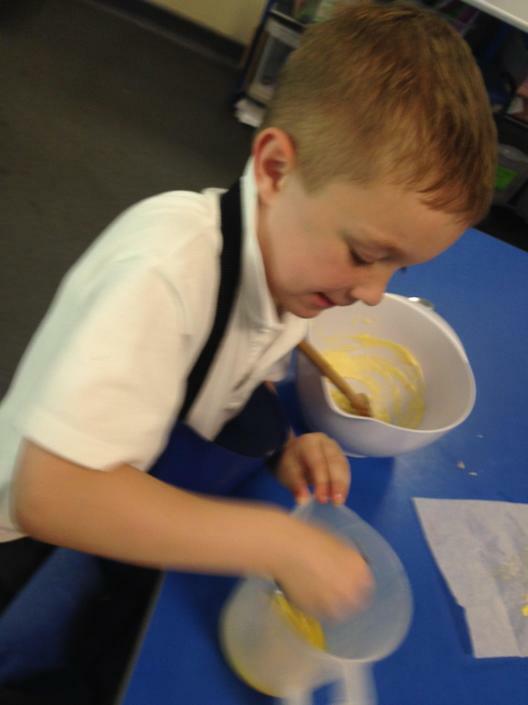 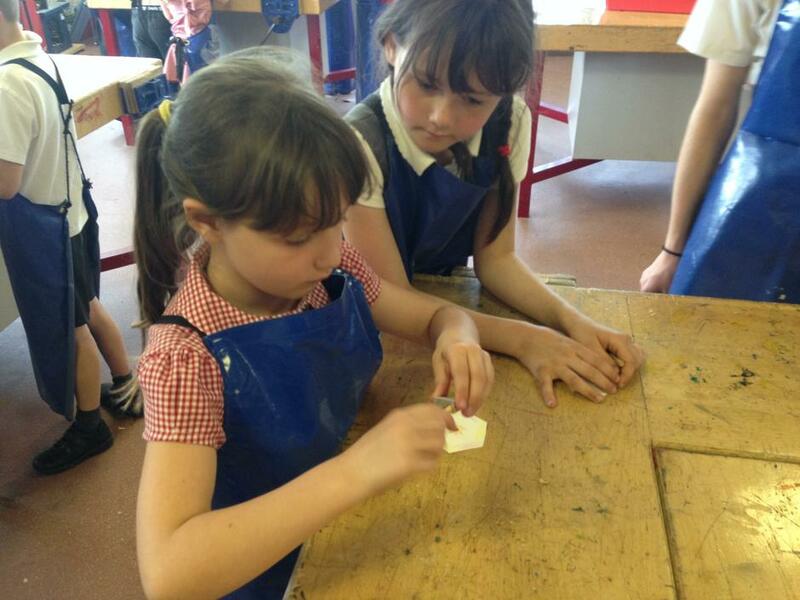 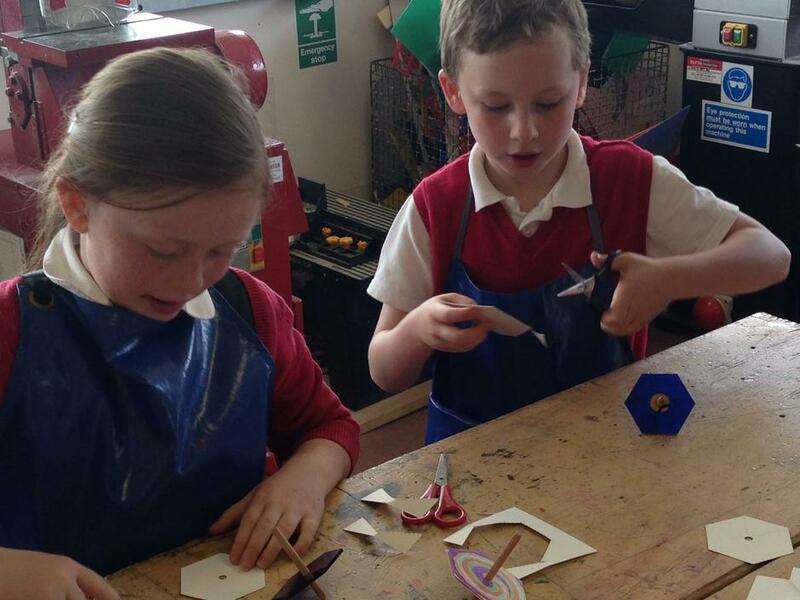 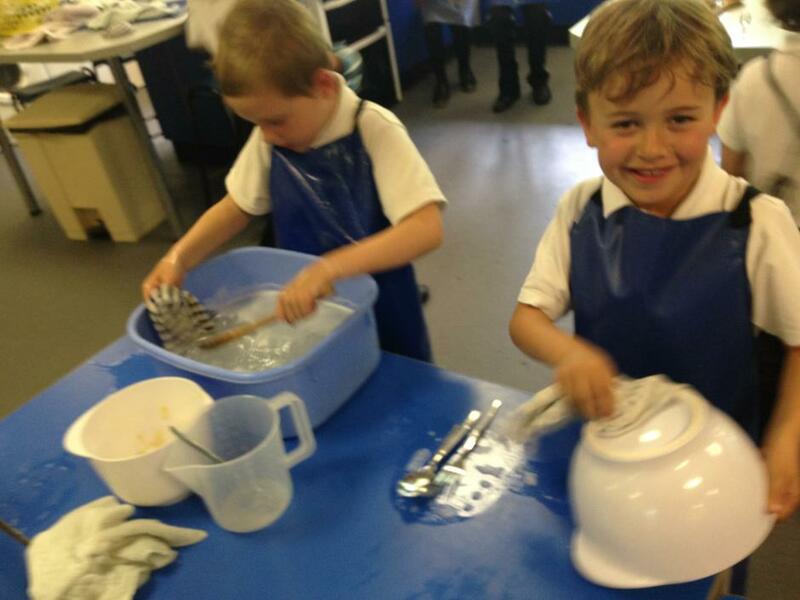 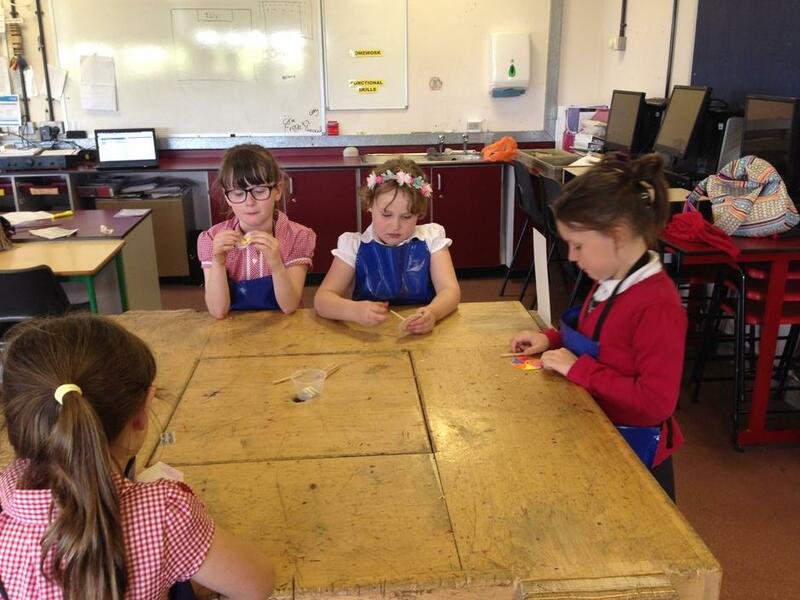 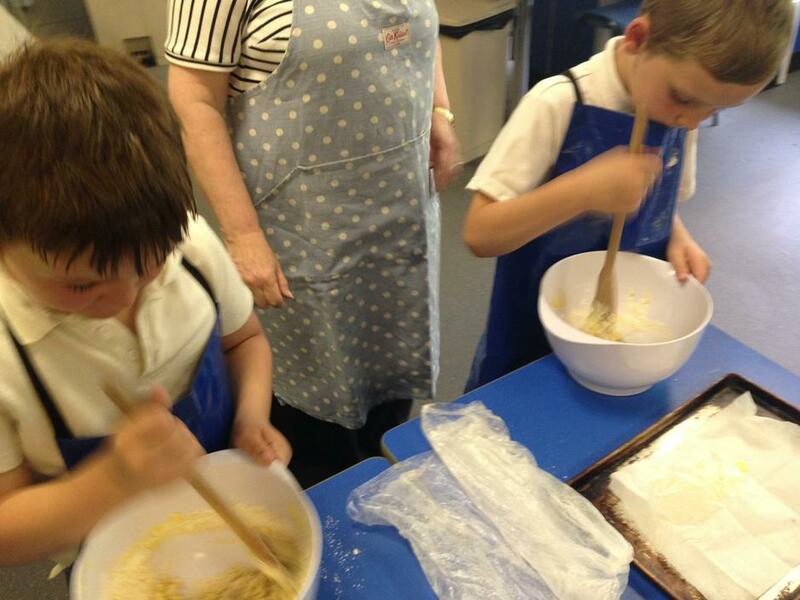 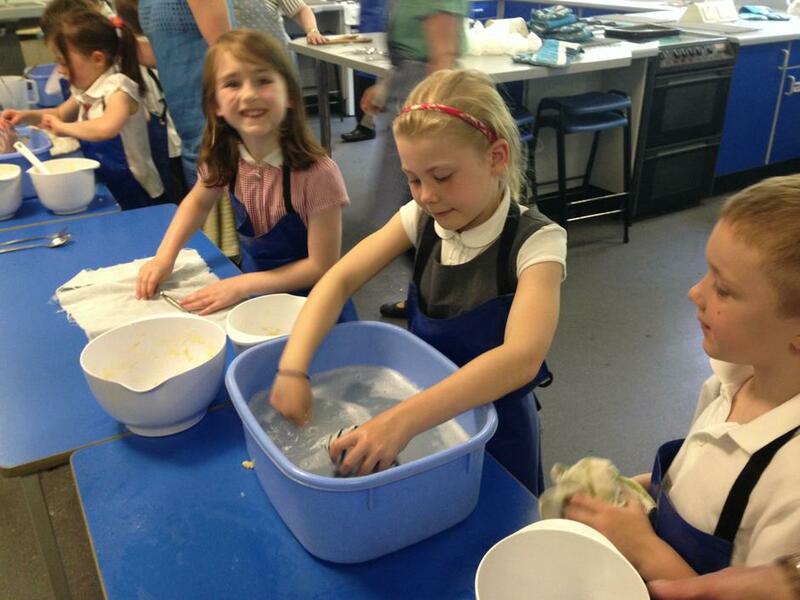 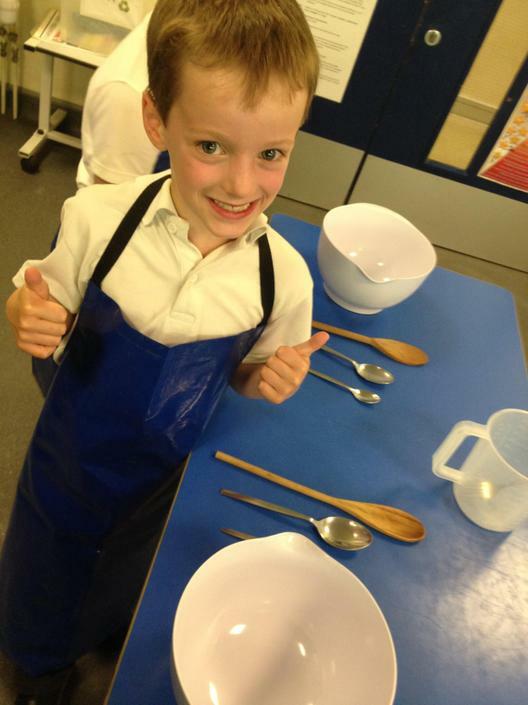 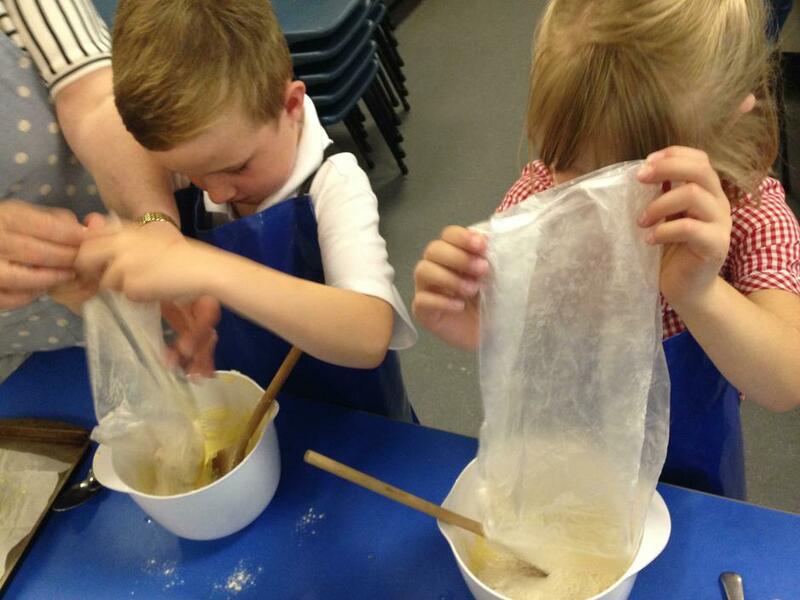 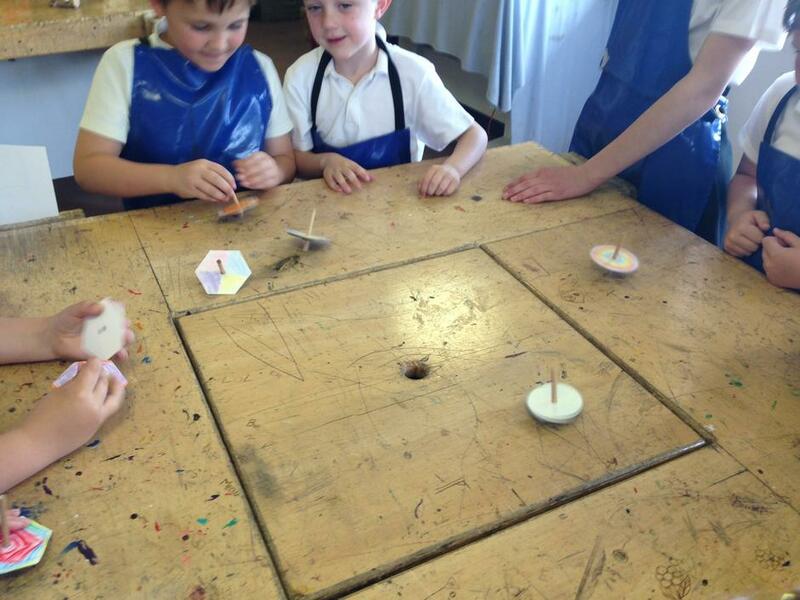 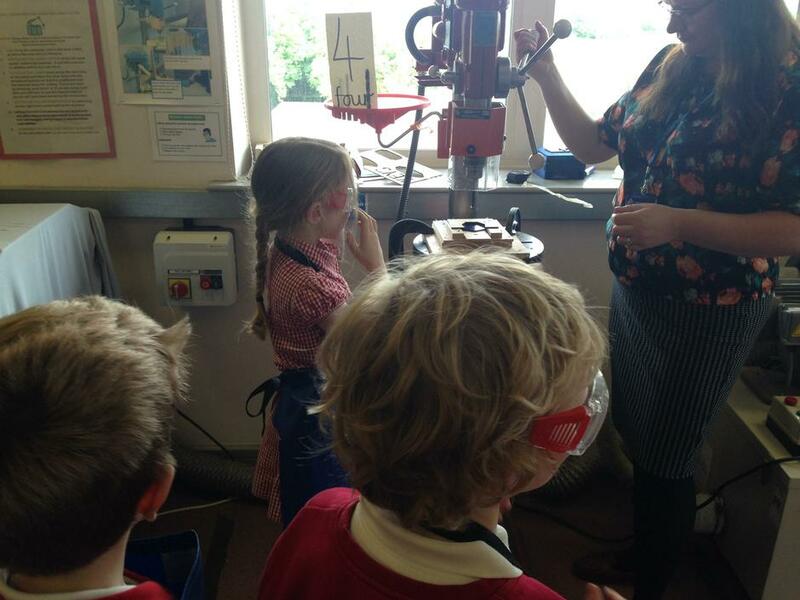 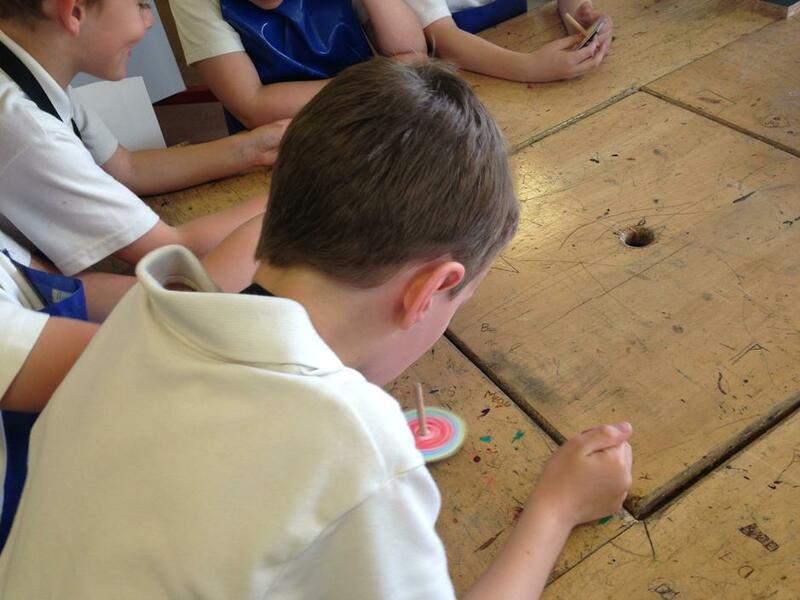 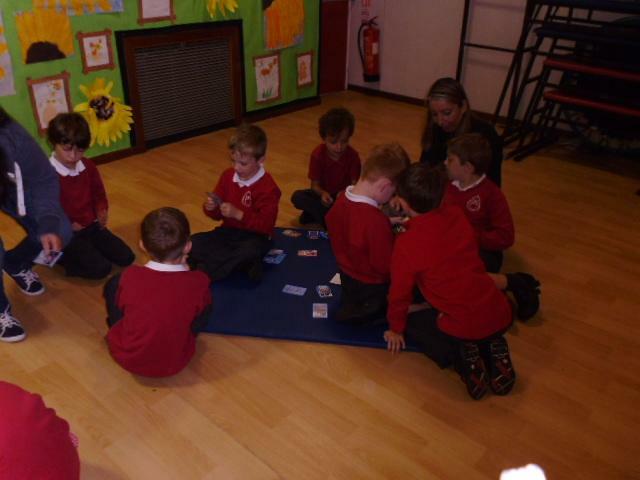 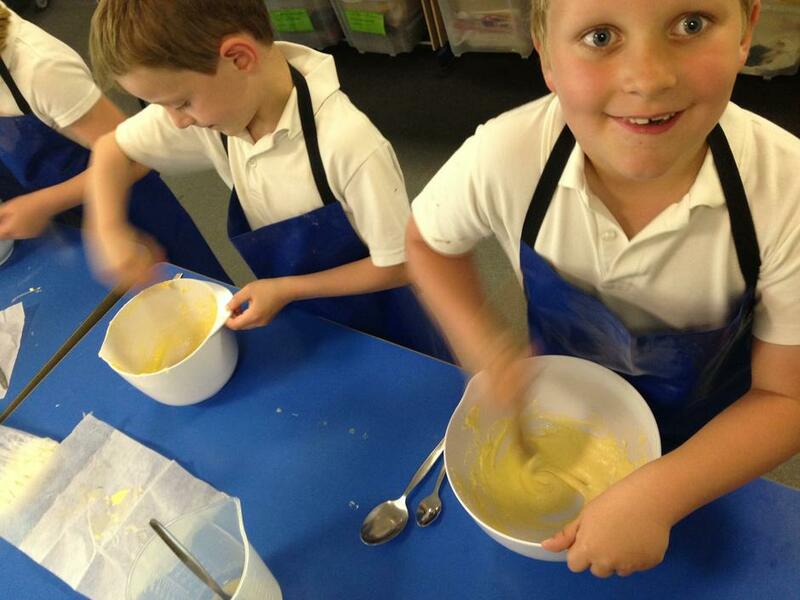 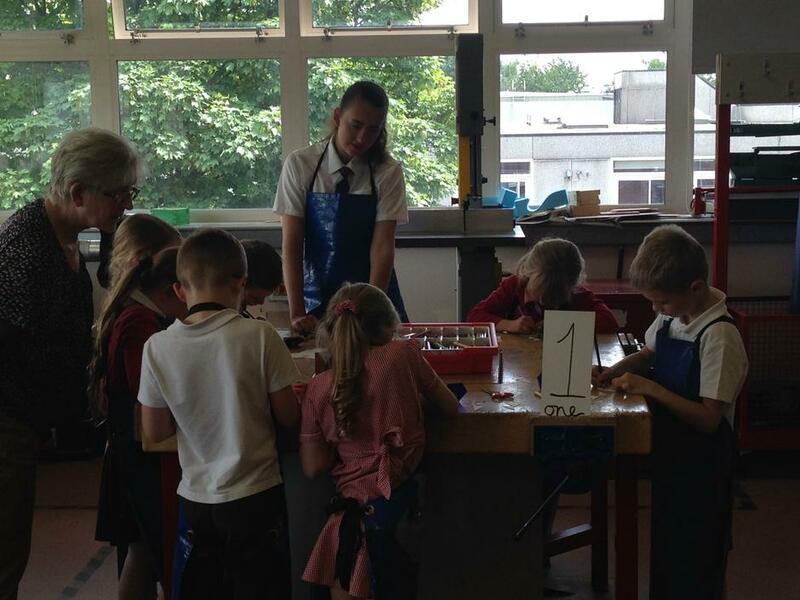 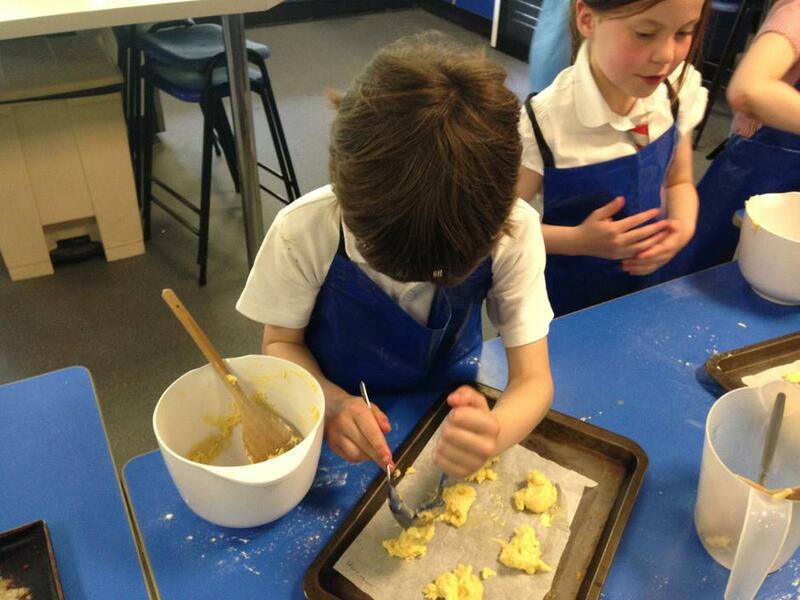 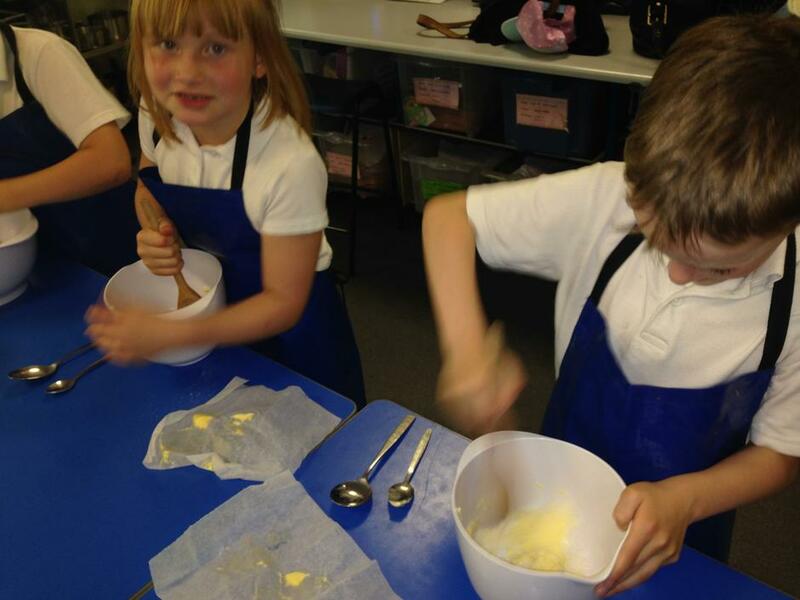 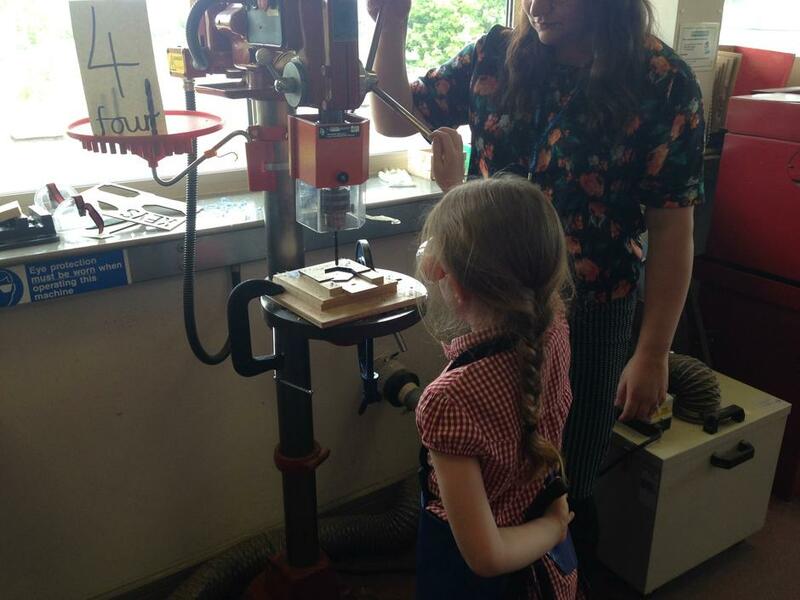 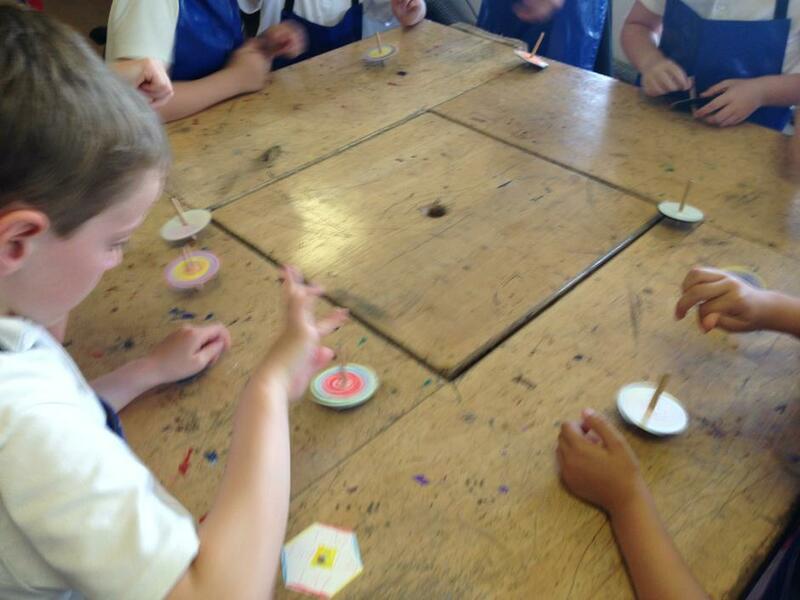 The cheetah class loved visiting The Kimberley School and making cookies and spinners... take a look at the photos of us enjoying our afternoon! 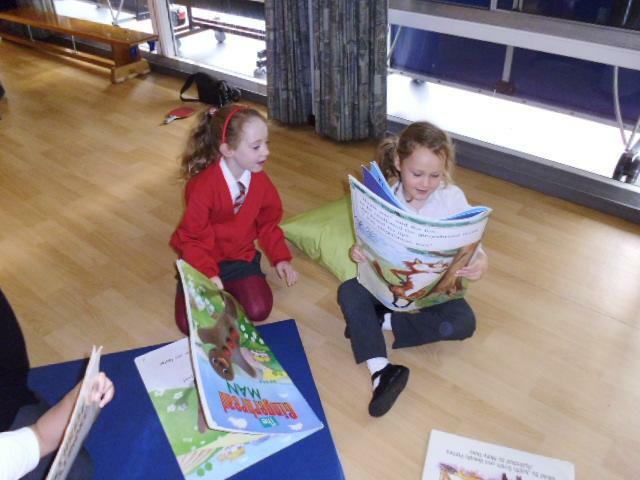 As part of our learning in Cheetahs we have been reading Fantastic Mr Fox by Roald Dahl and the children are really enjoying the story so far. 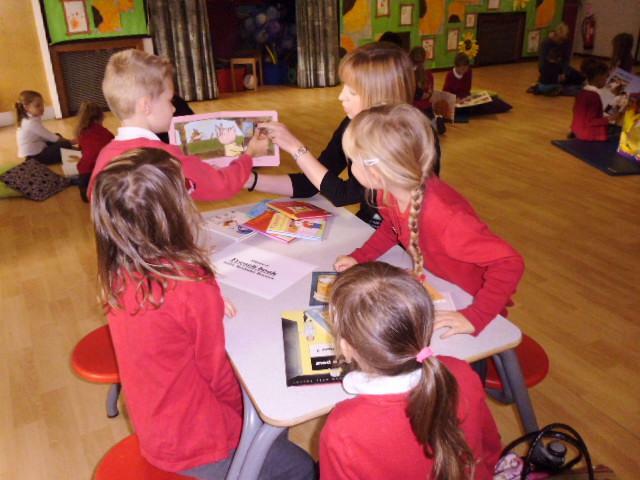 Last week we made wanted posters and we will soon be writing a detailed character description of Mr Fox. 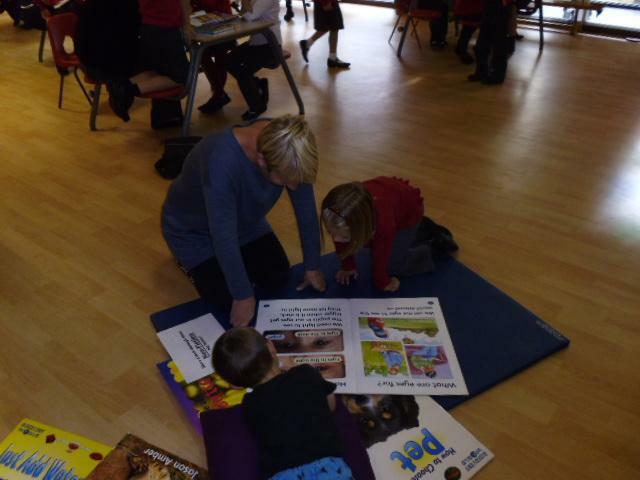 To enhance and support their learning the children will have the opportunity to watch the feature length animation of Fantastic Mr Fox. 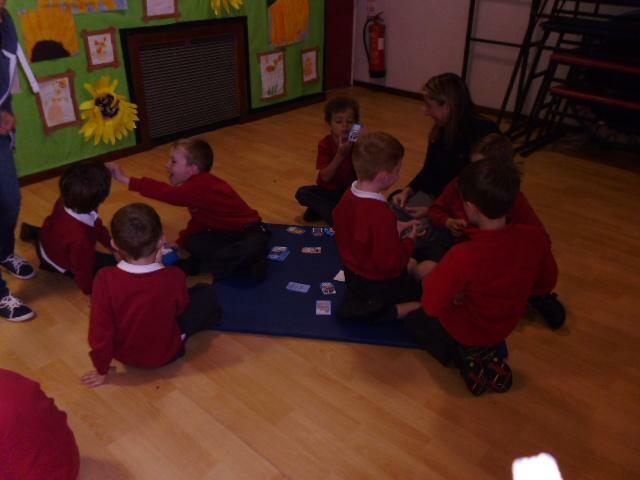 The story follows Mr Fox and his efforts to feed his family whilst running from the horrible farmers Boggis, Bunce and Bean. 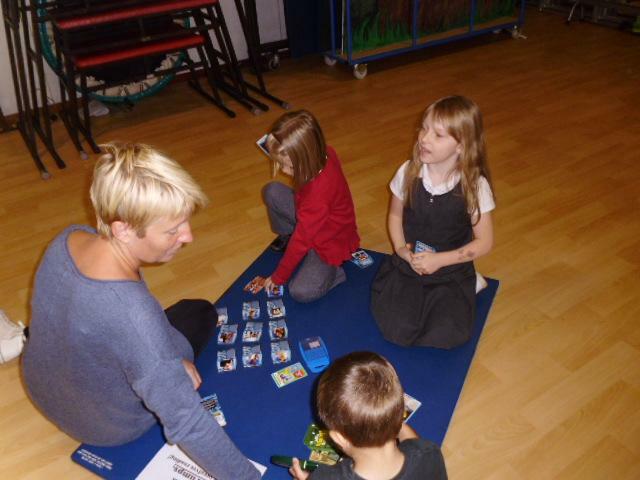 Along the way we are introduced to lots of other characters such as Mrs Fox and old Badger. 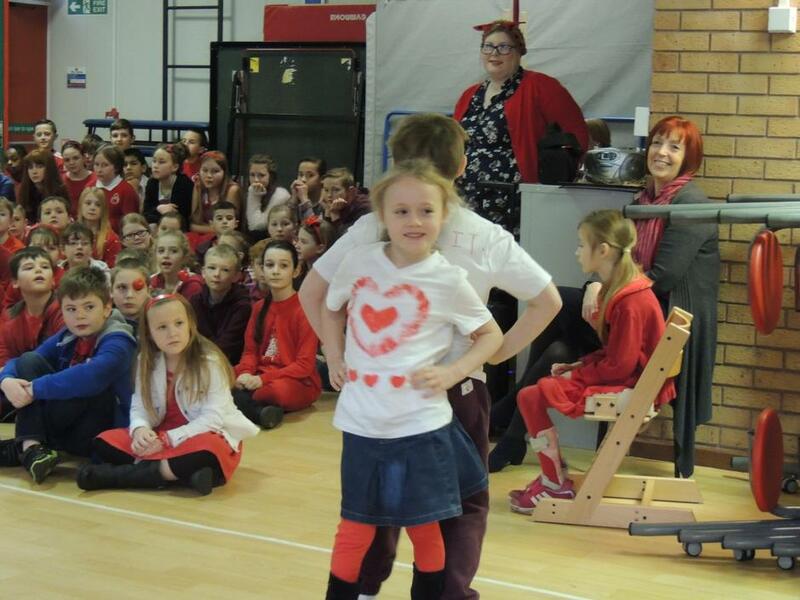 Before long Mr Fox puts his old days behind him and does what good fathers do best: be responsible. 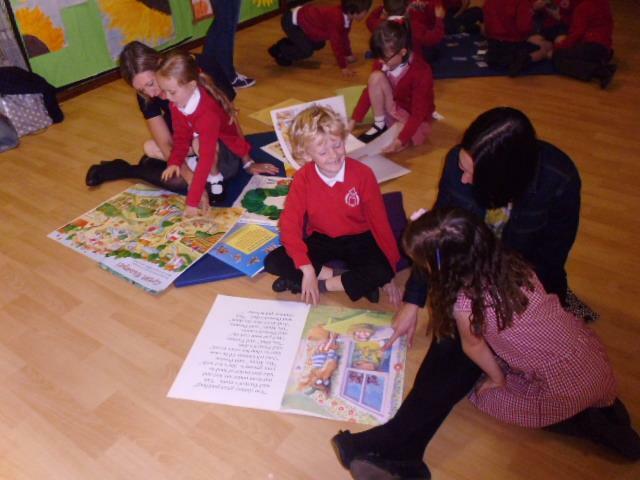 Fantastic Mr Fox is a PG rated film and recommend for 7 year olds and upwards. 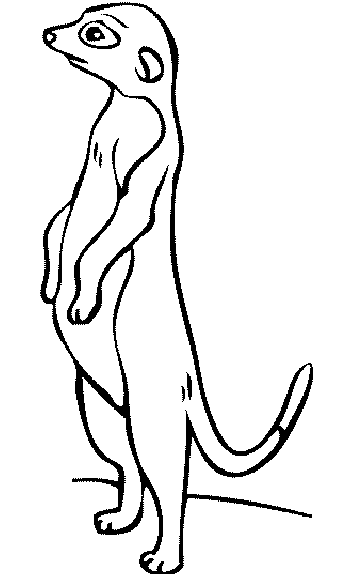 Please watch the offical trailer to the animation below. 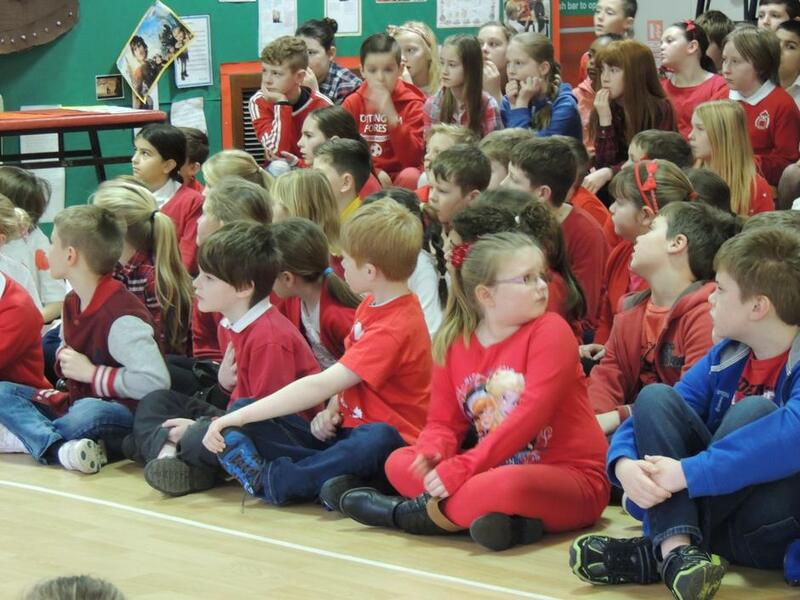 If you have any further questions or do not wish your child to watch the film please contact/see Mrs Hodson. 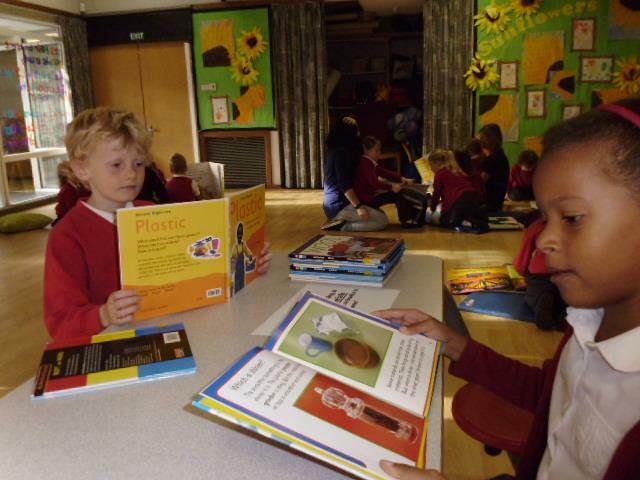 The Book Trust 100 best books for 6-8 year olds How many have you read? 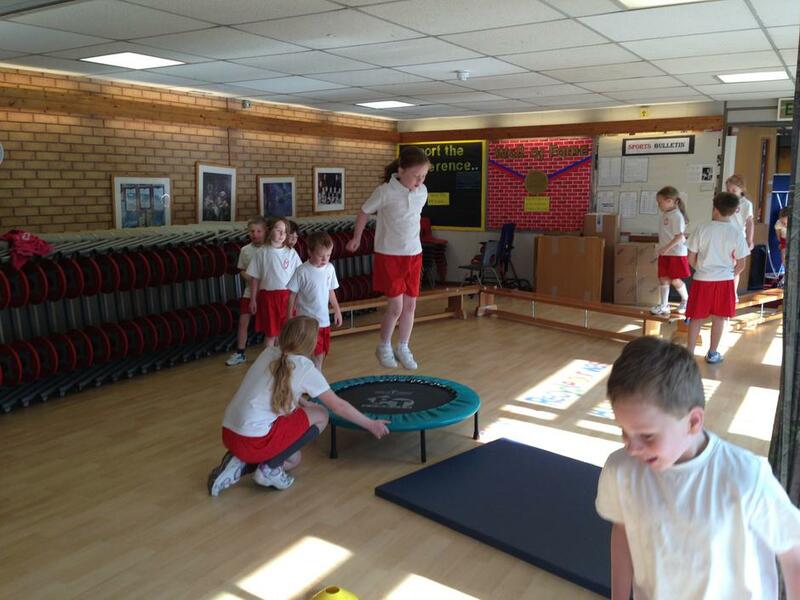 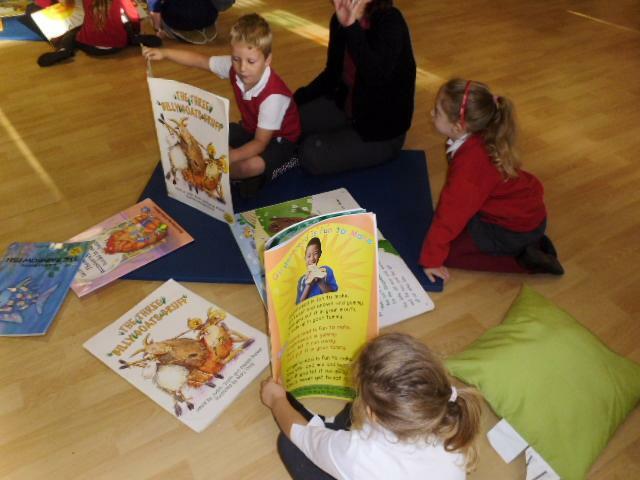 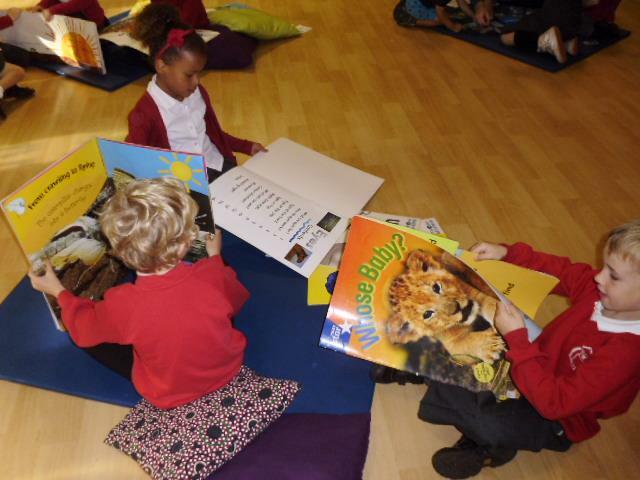 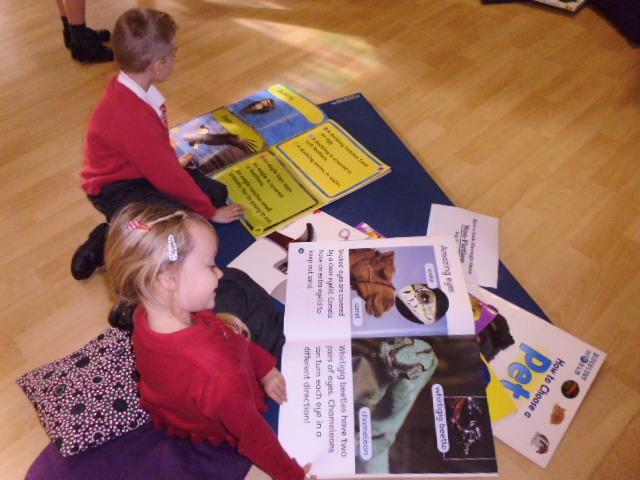 Moments and Memories in Cheetah class! 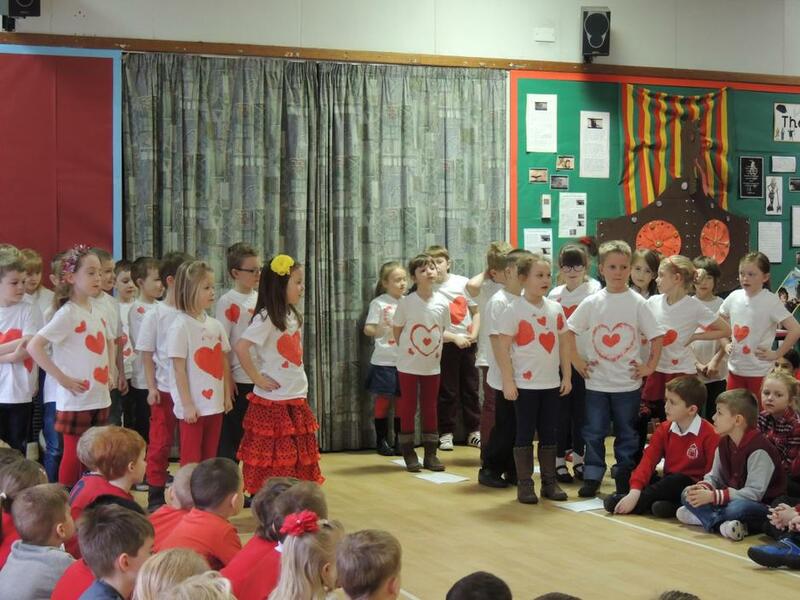 Children in Need - We were heroes! 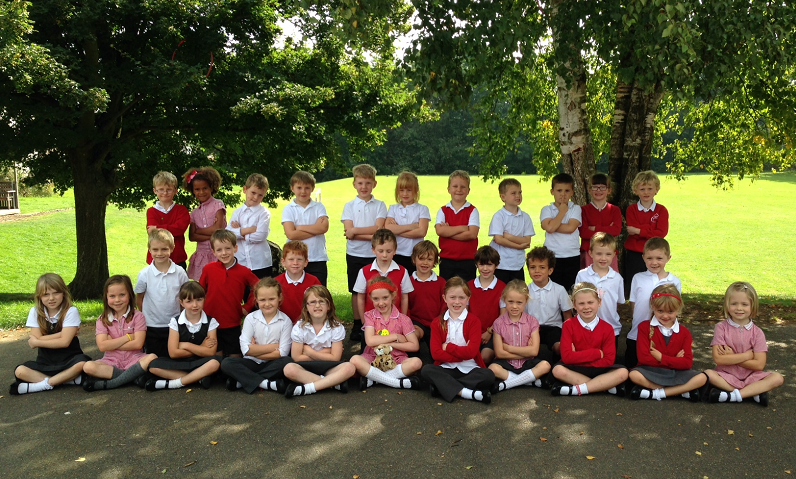 Showing off our hats on party day! 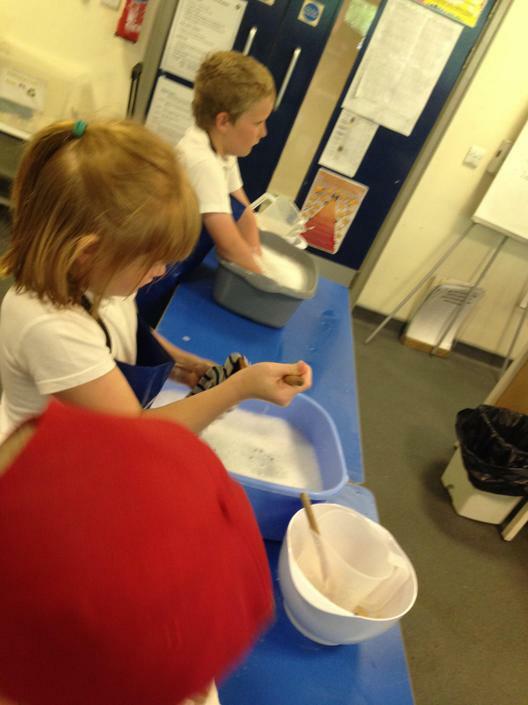 Some of Cheetah class built a snow reindeer! 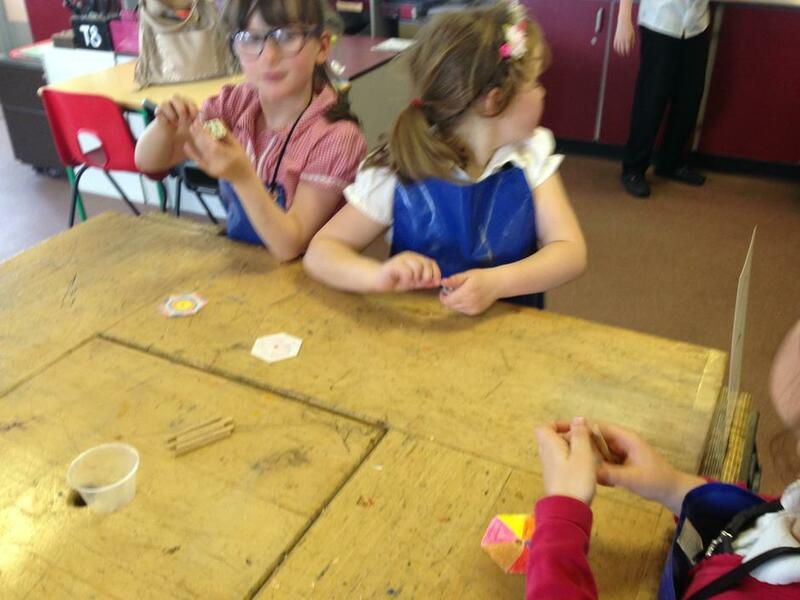 Showing off our Easter Bonnets! 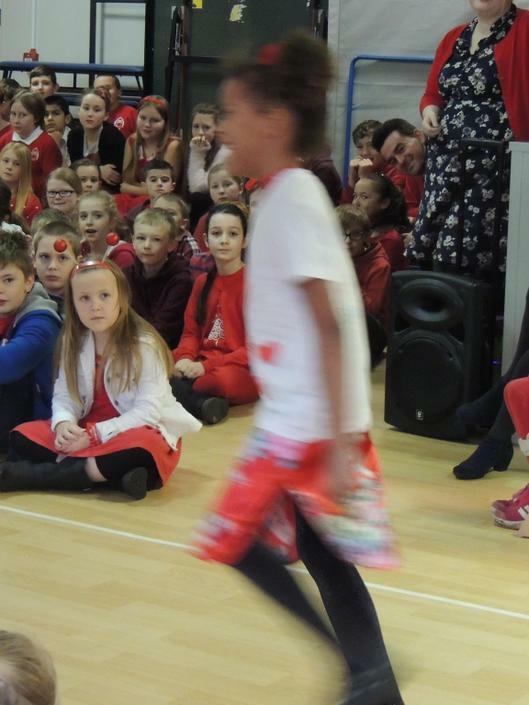 Cheetahs class assembly was a huge success! 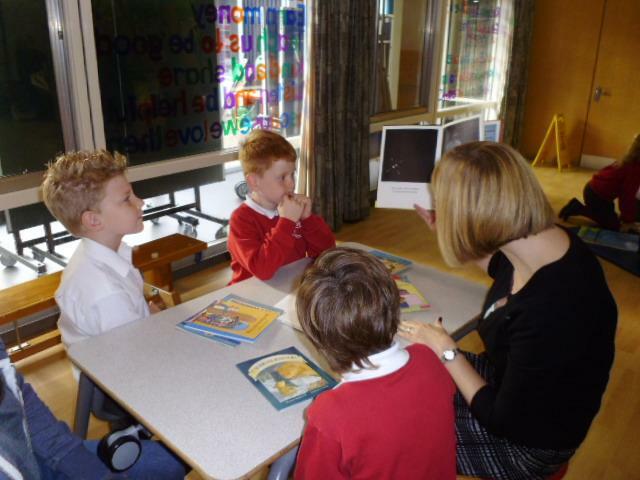 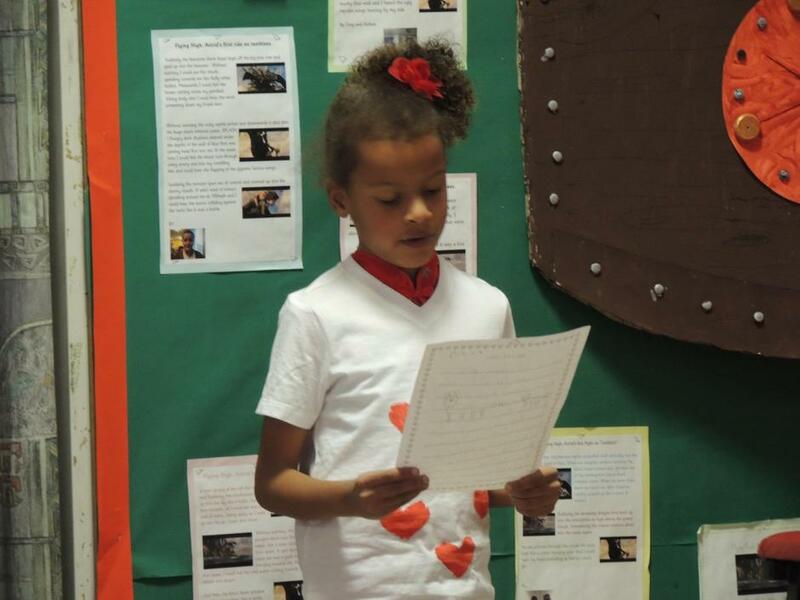 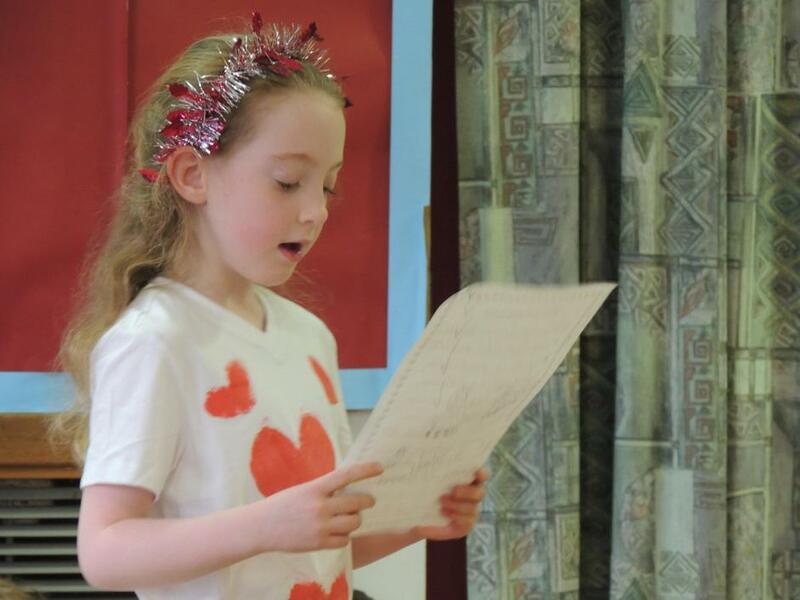 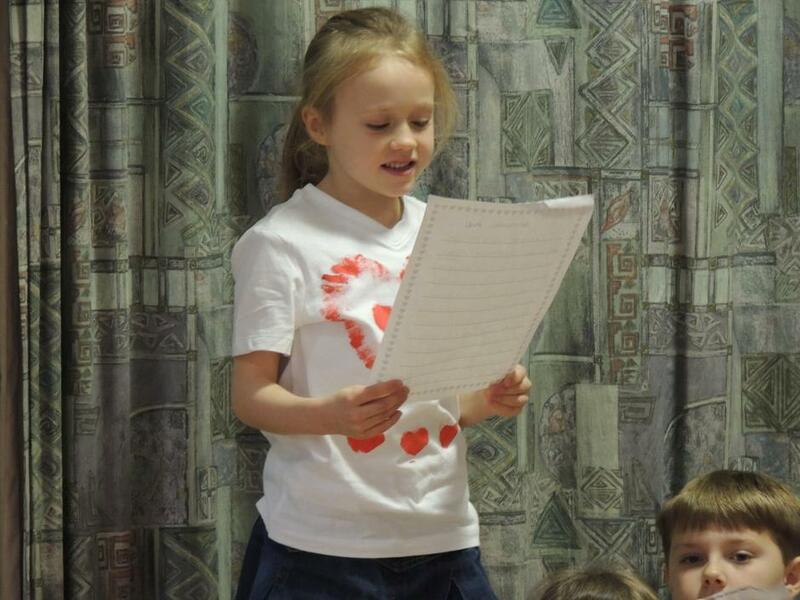 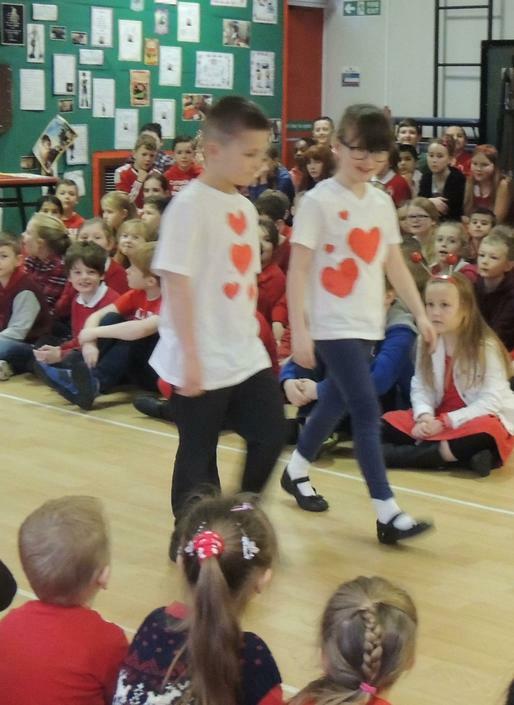 First the class spoke about the importance of raising money for the British Heart Foundation and then some of children read poems. 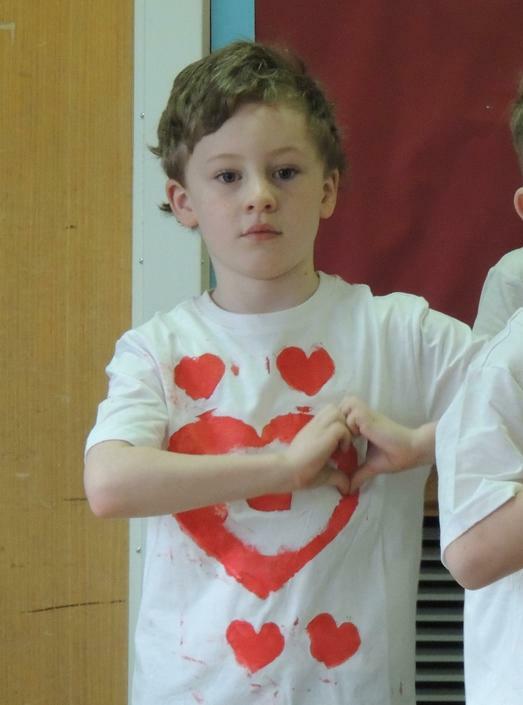 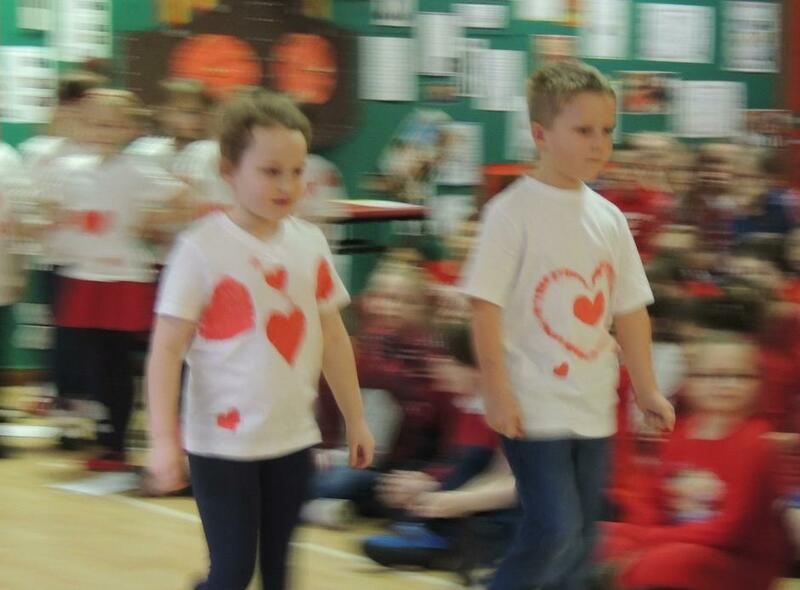 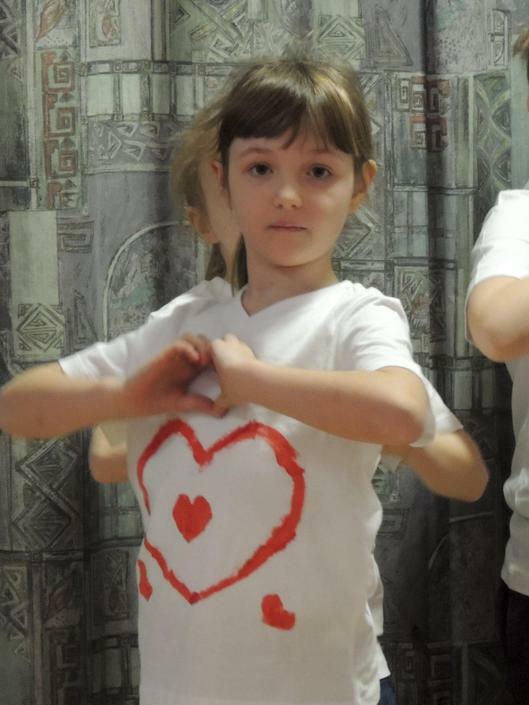 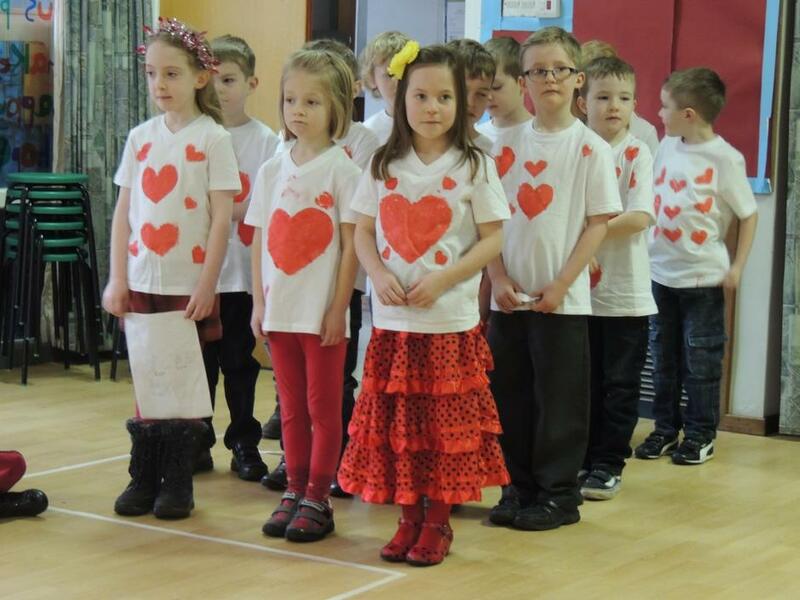 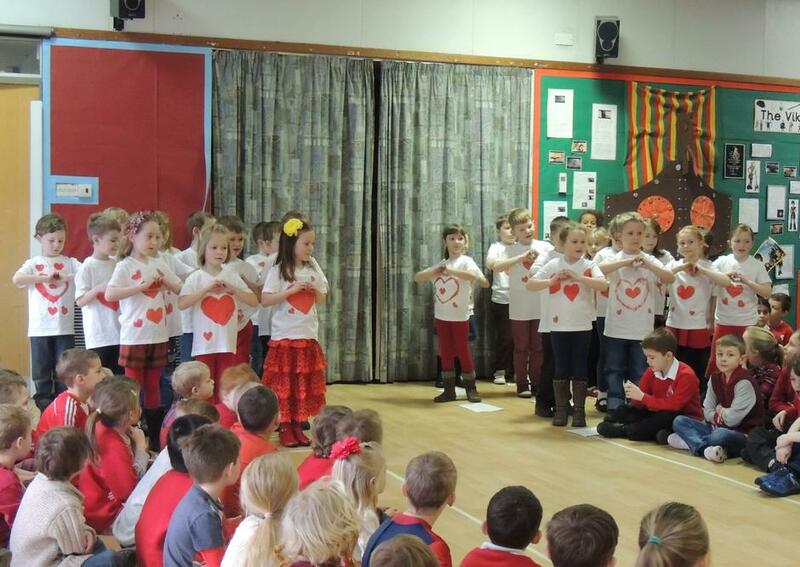 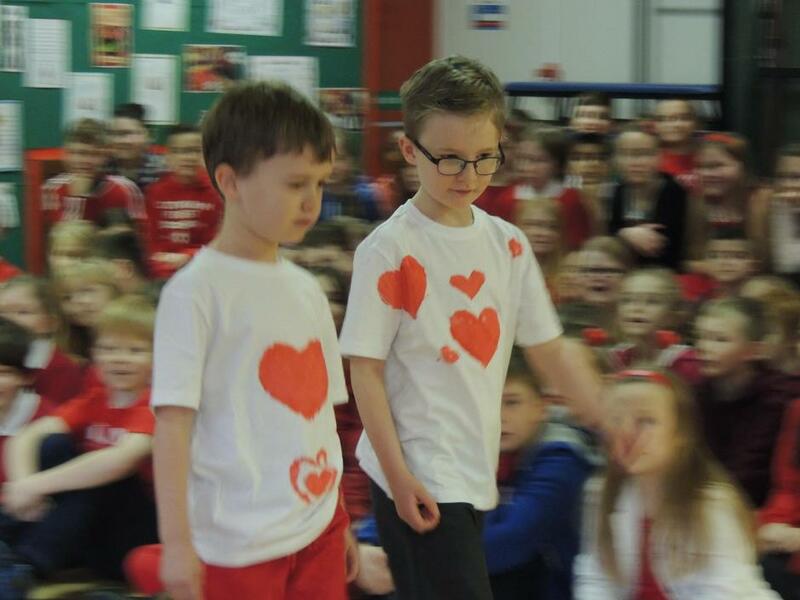 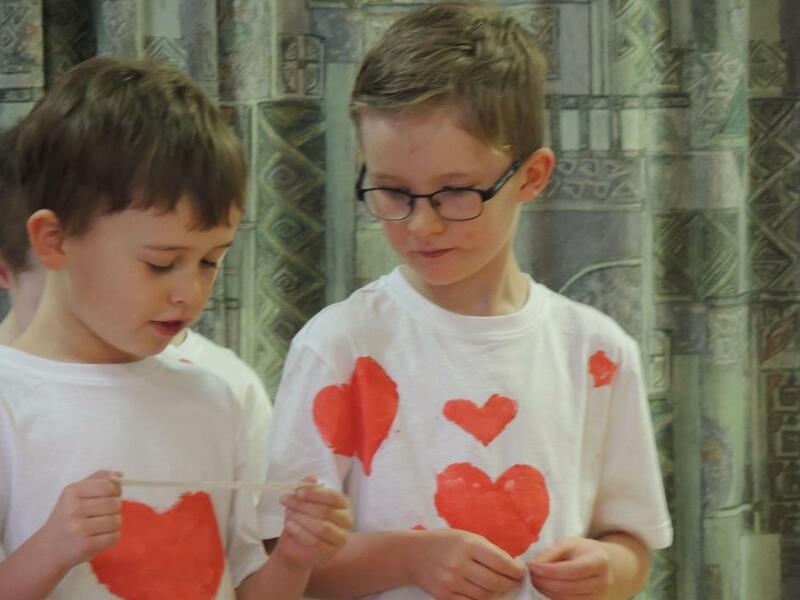 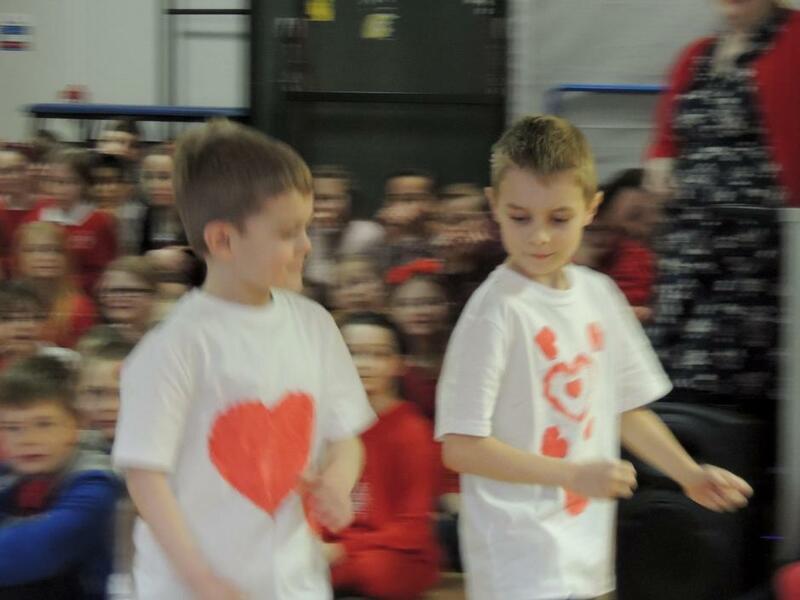 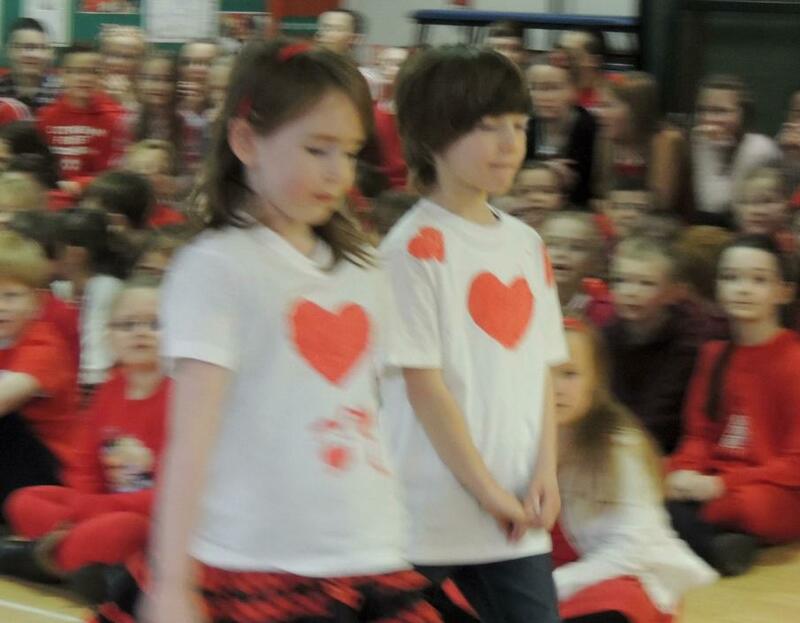 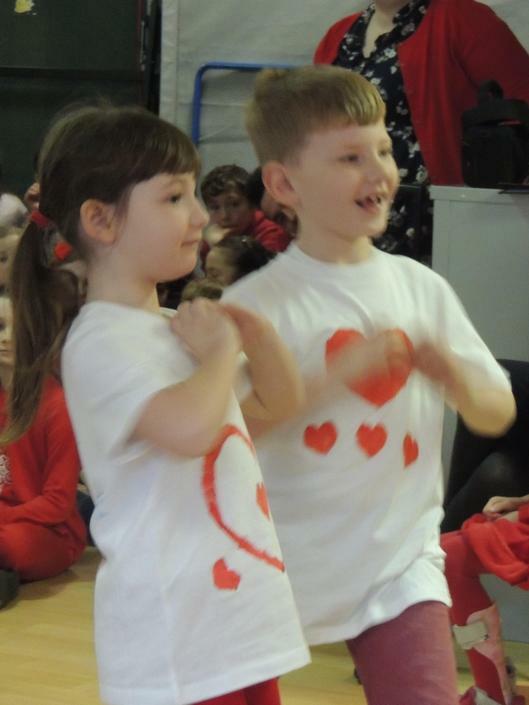 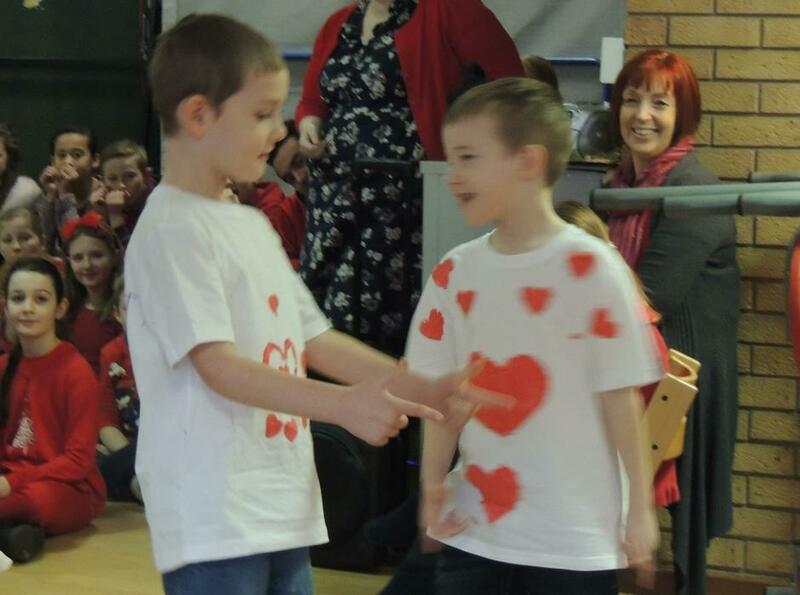 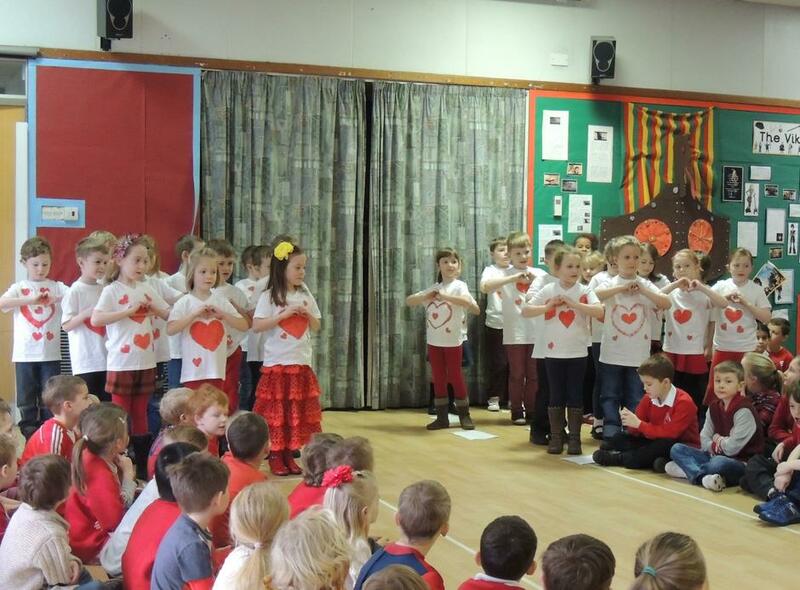 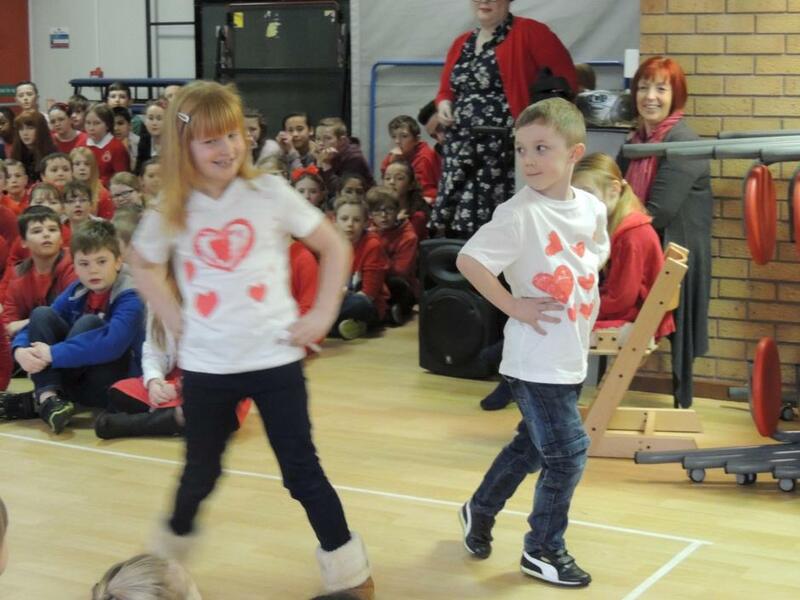 Finally the children had fun performing in a fashion show wearing the t-shirts they had designed to raise awareness of this important cause. 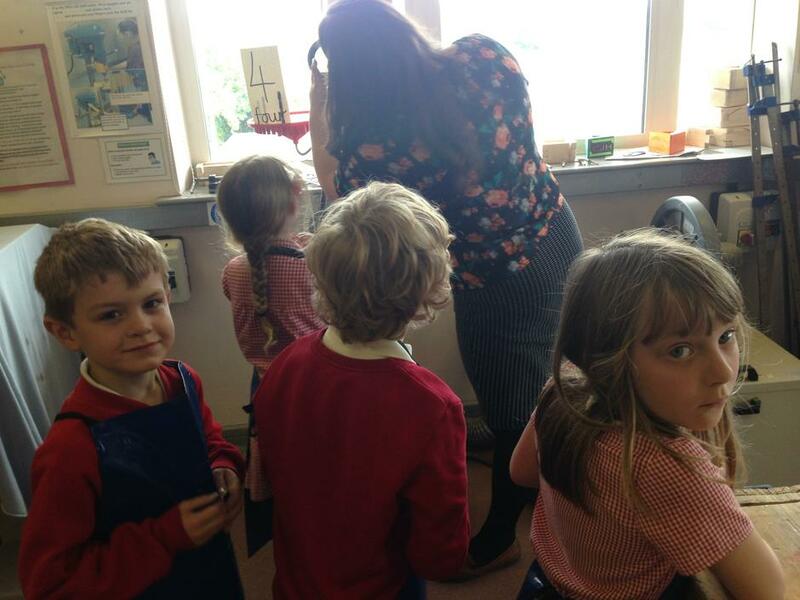 The Cheetah class ran the stall selling cakes that everyone had donated - we had never seen so many cakes! 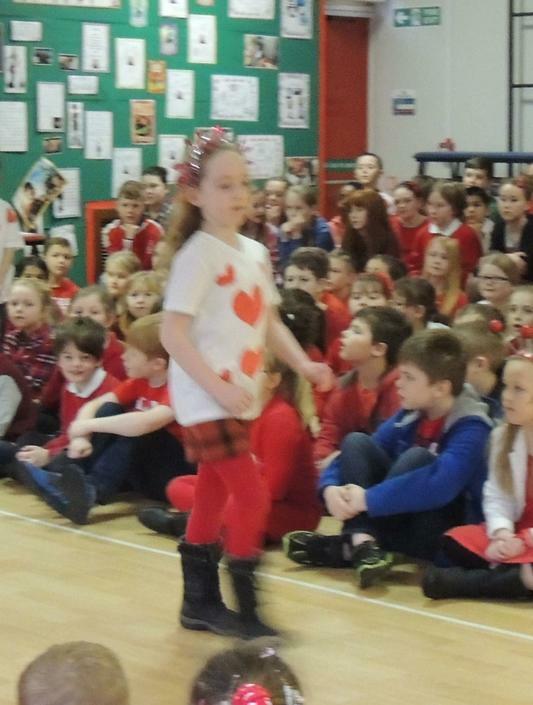 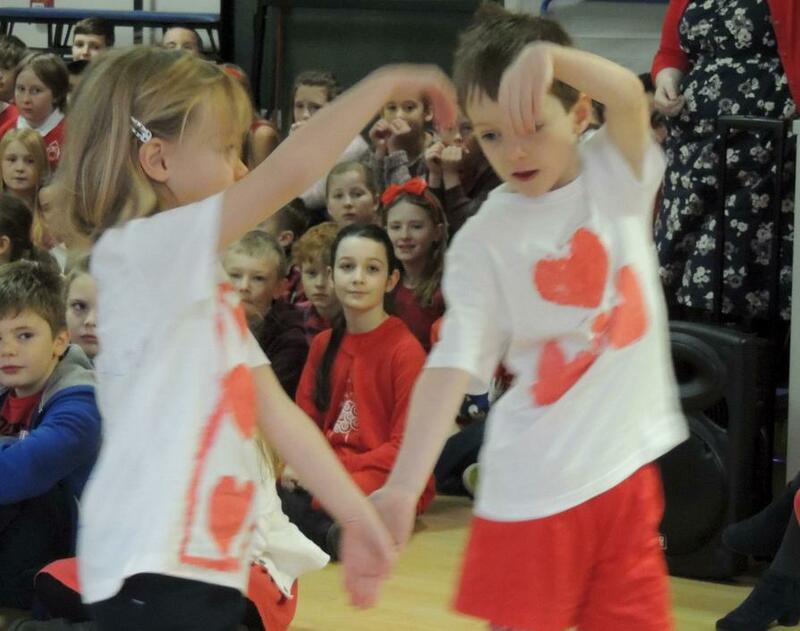 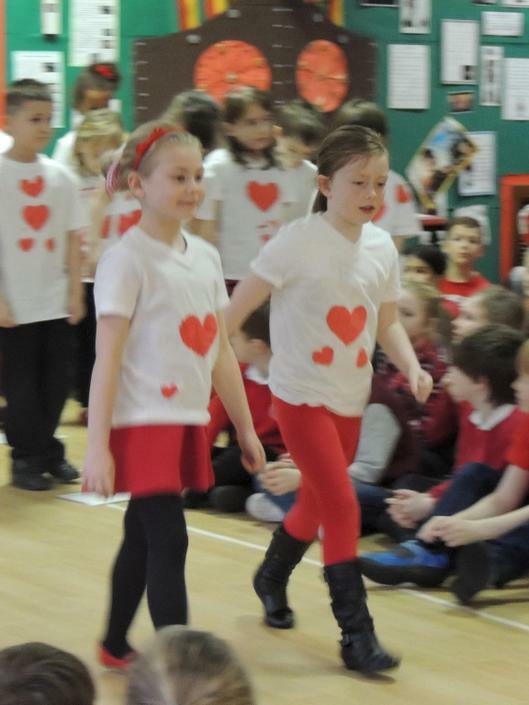 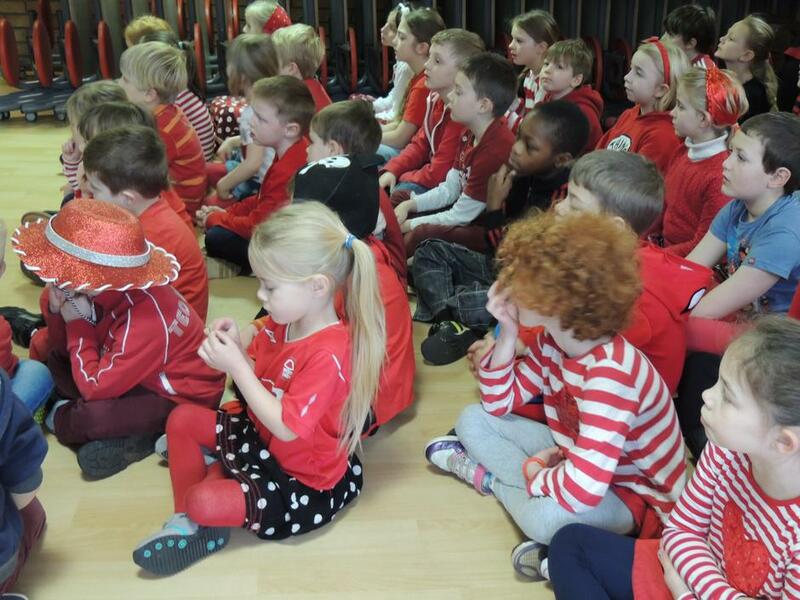 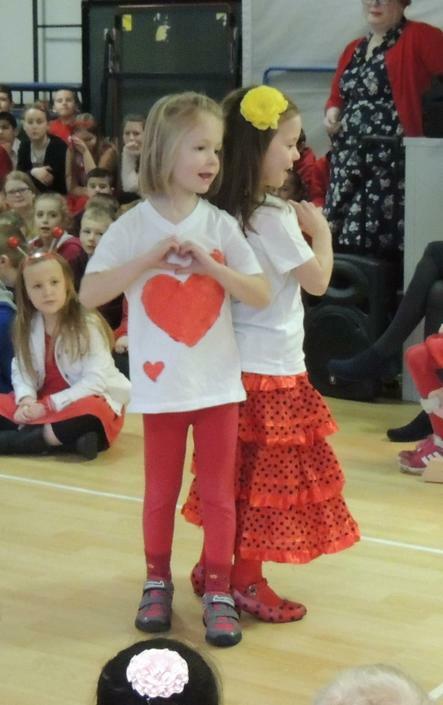 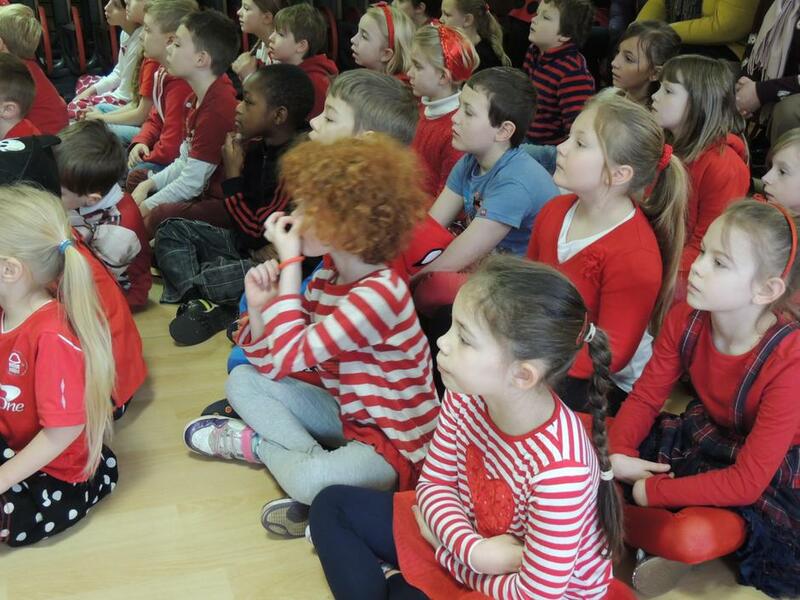 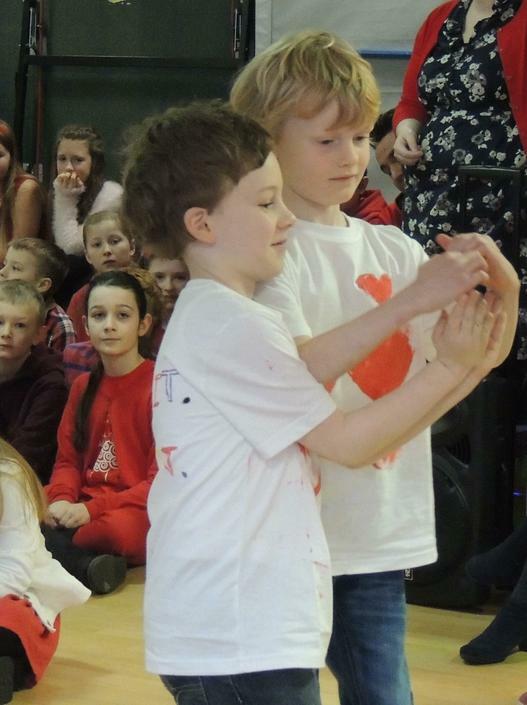 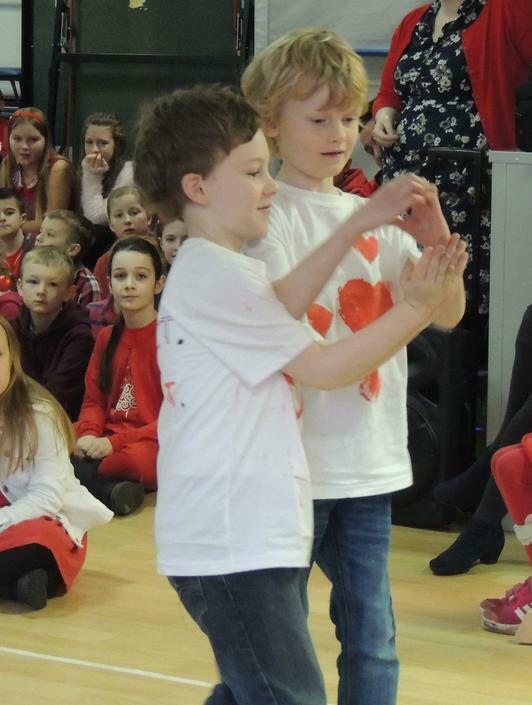 The whole school embraced the theme and wore red and in total we raised an amazing £284.48!!! 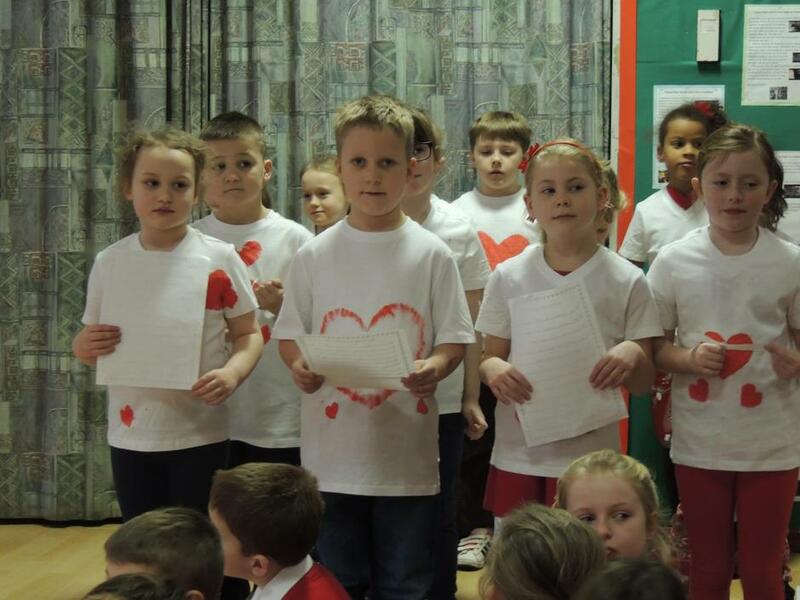 Well done Cheetahs and Hollywell! 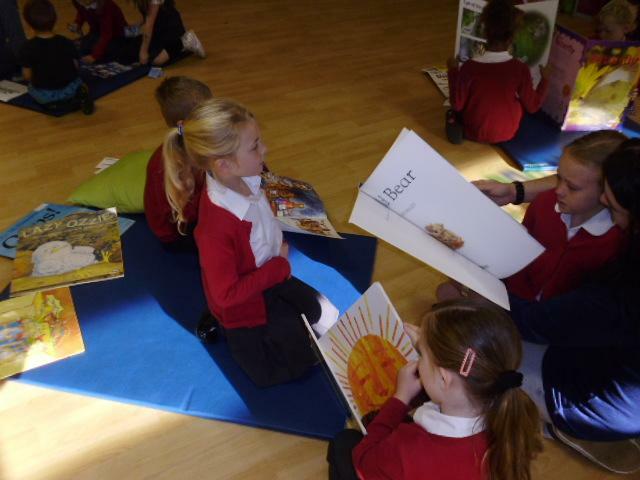 Cheetahs Reading Cafe was a huge success. 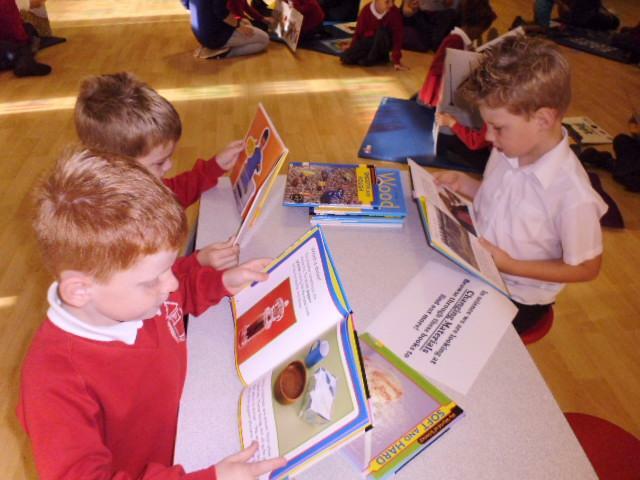 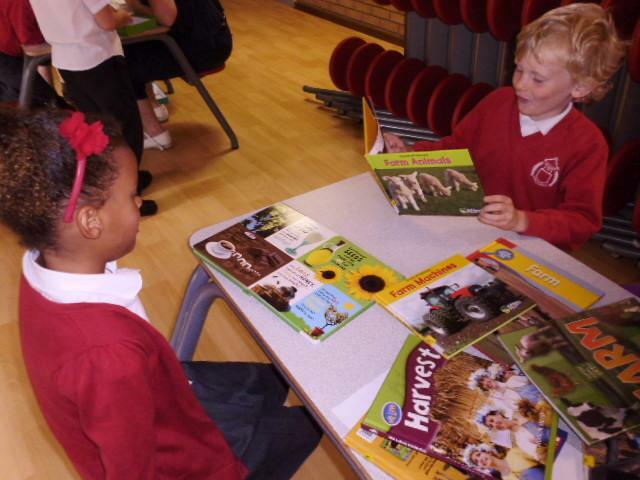 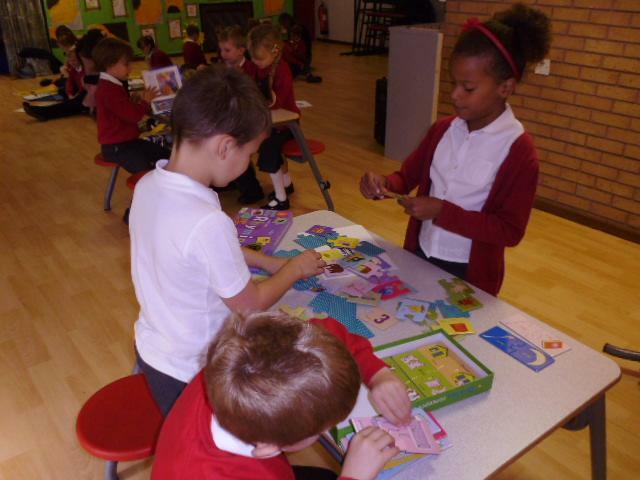 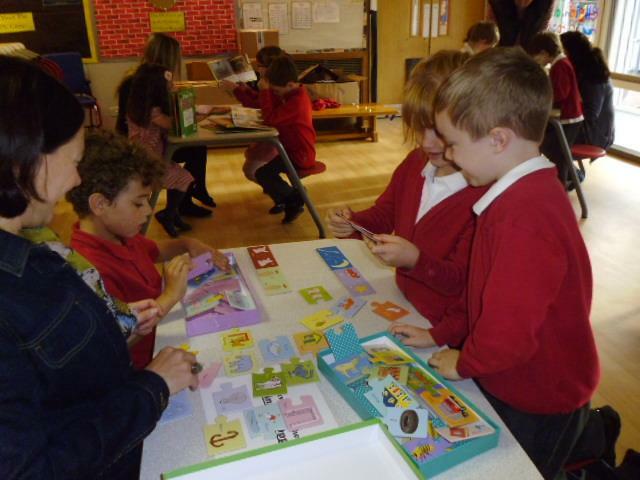 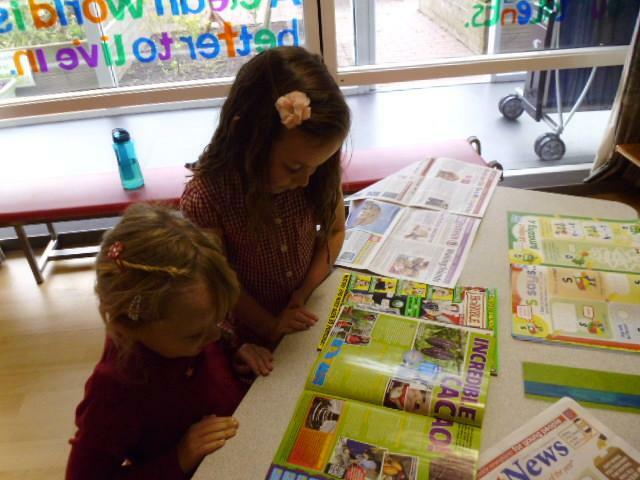 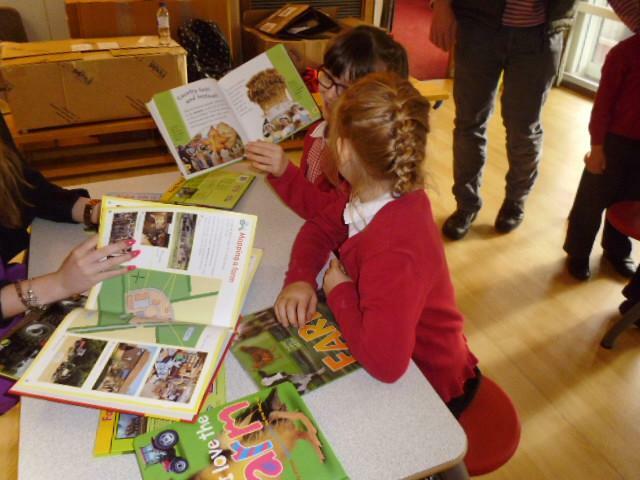 We enjoyed browsing the big books, reading some newspapers and magazines, sharing a french book with Madame Barnes, discovering more about our food and farming topic, sorting magnetics letters plus lots more! 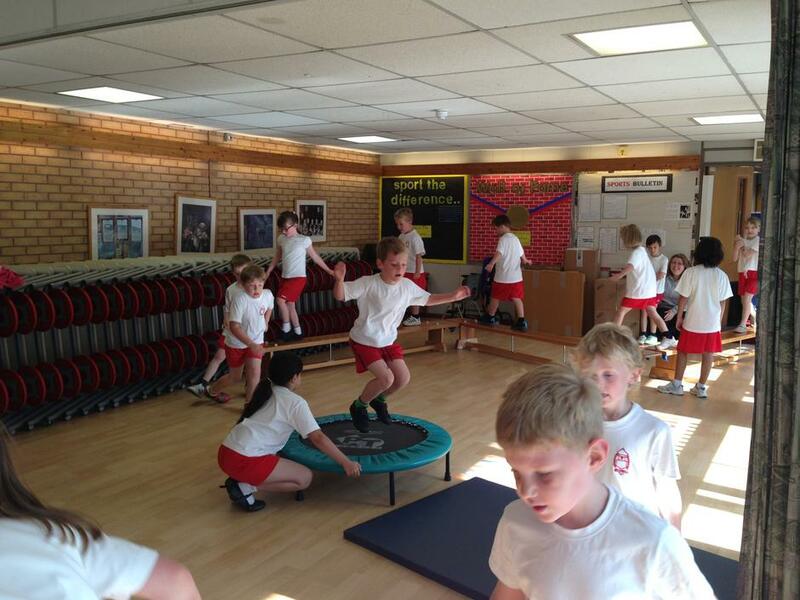 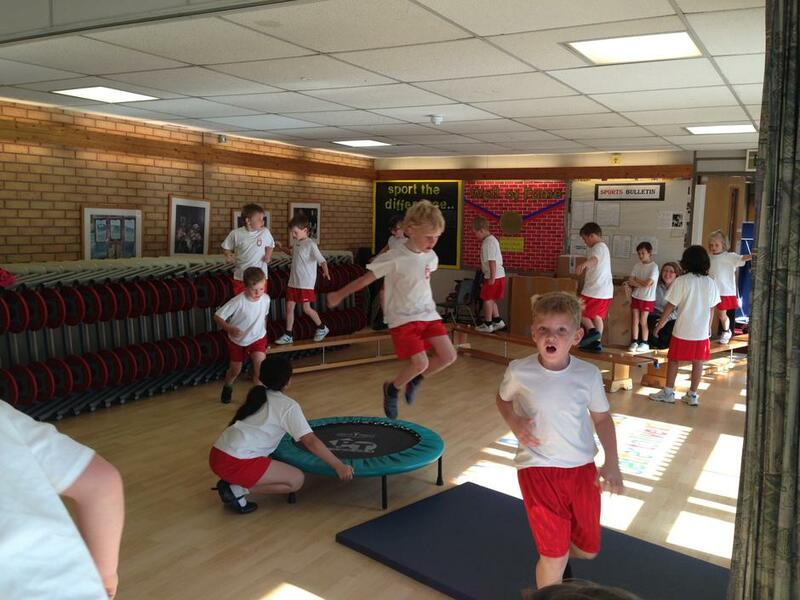 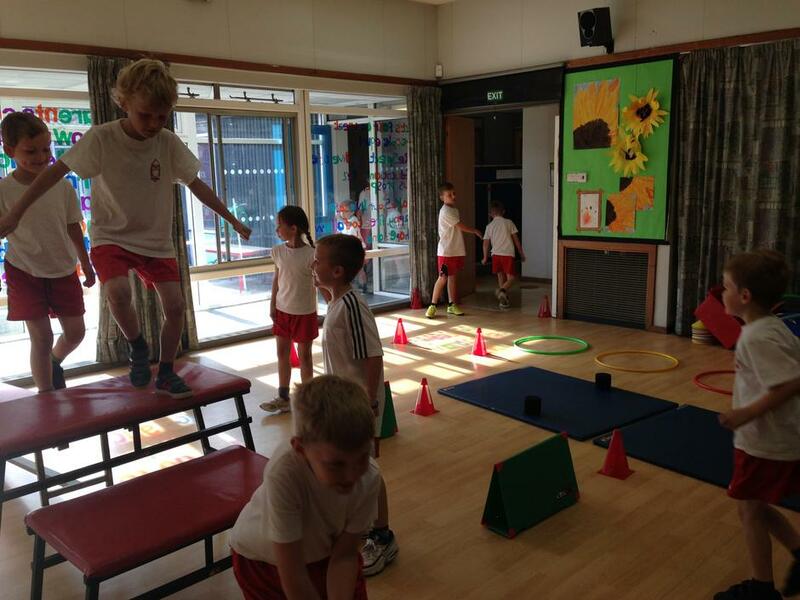 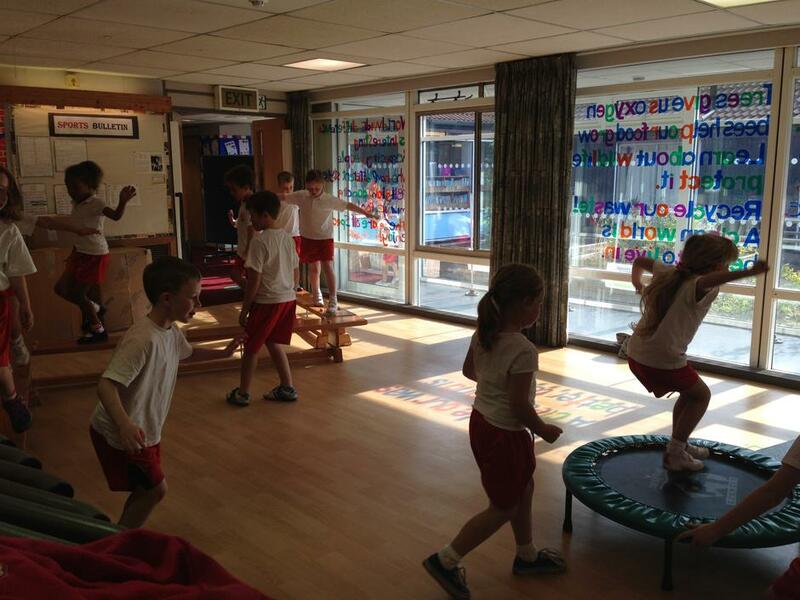 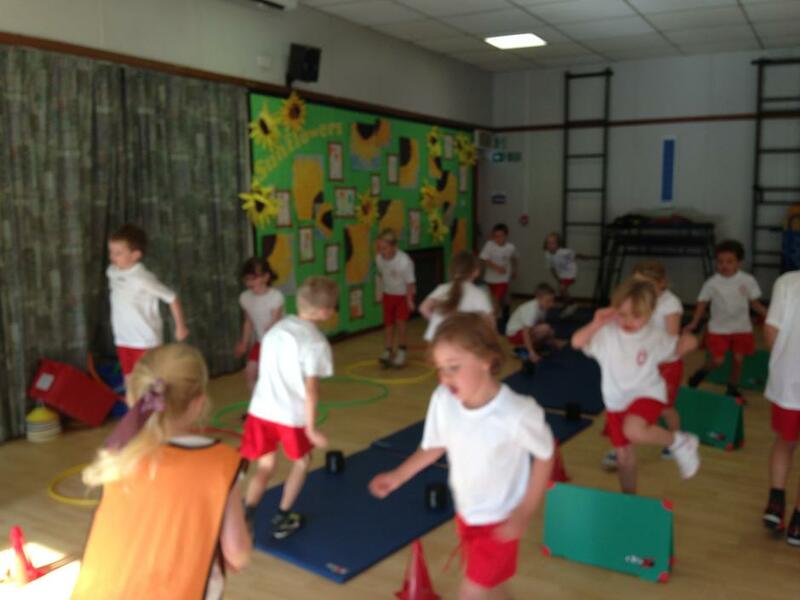 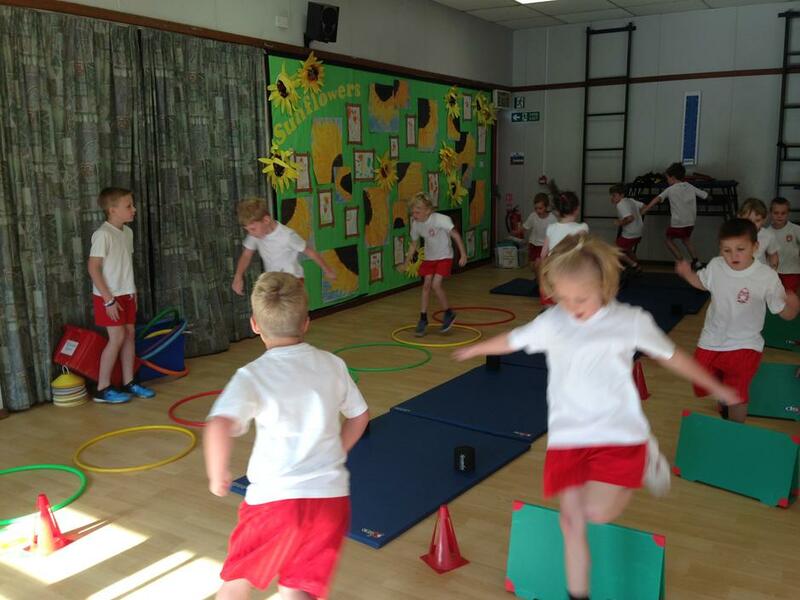 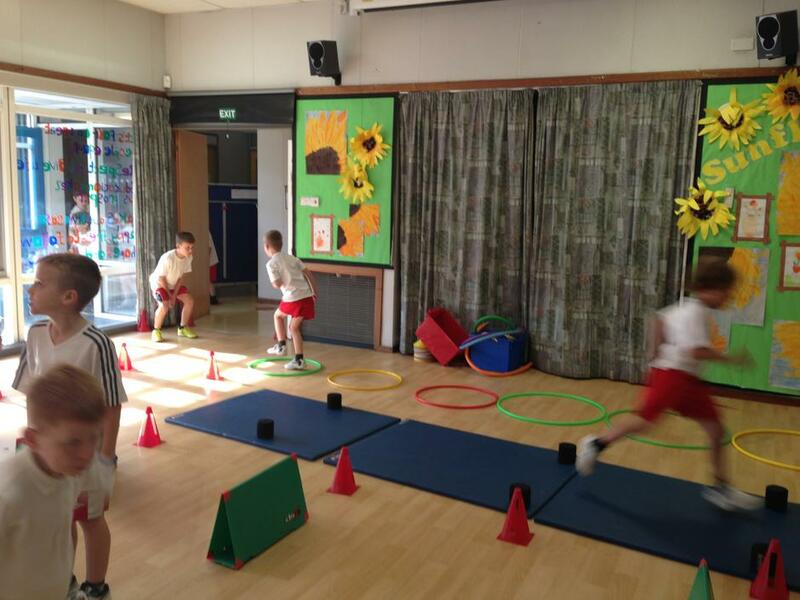 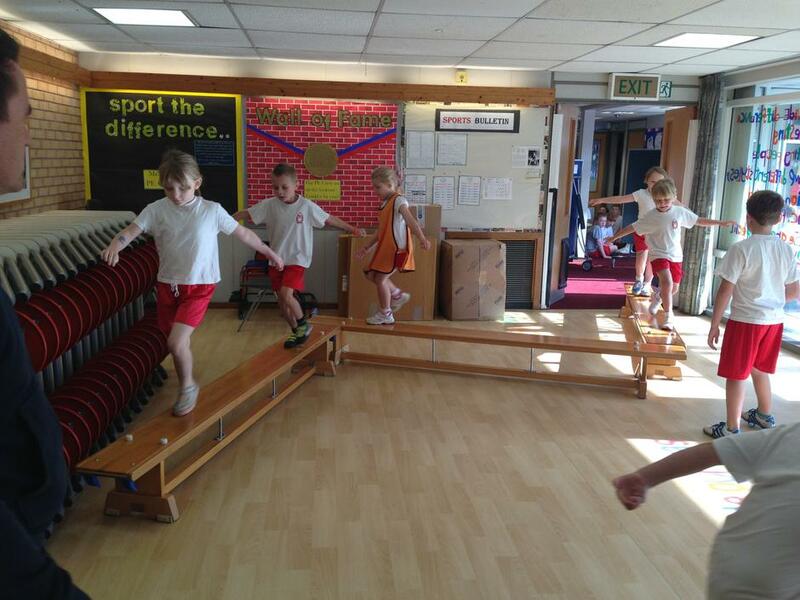 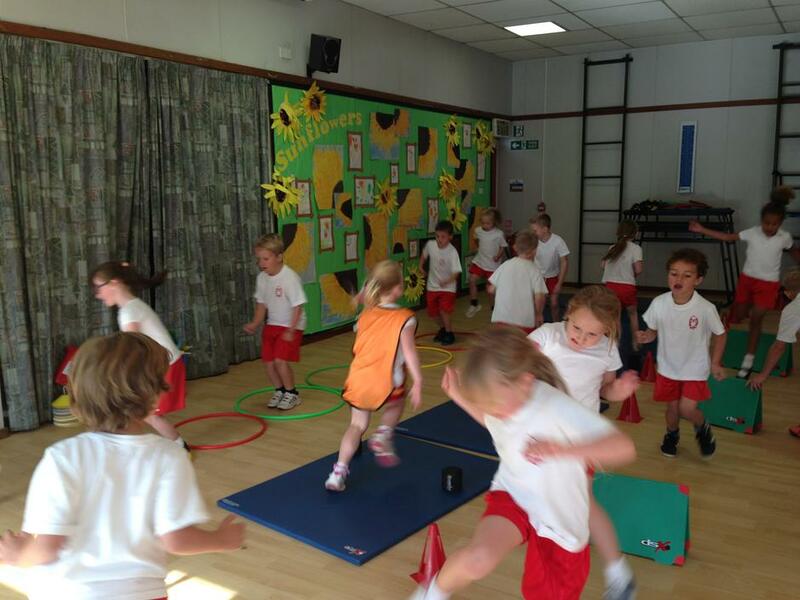 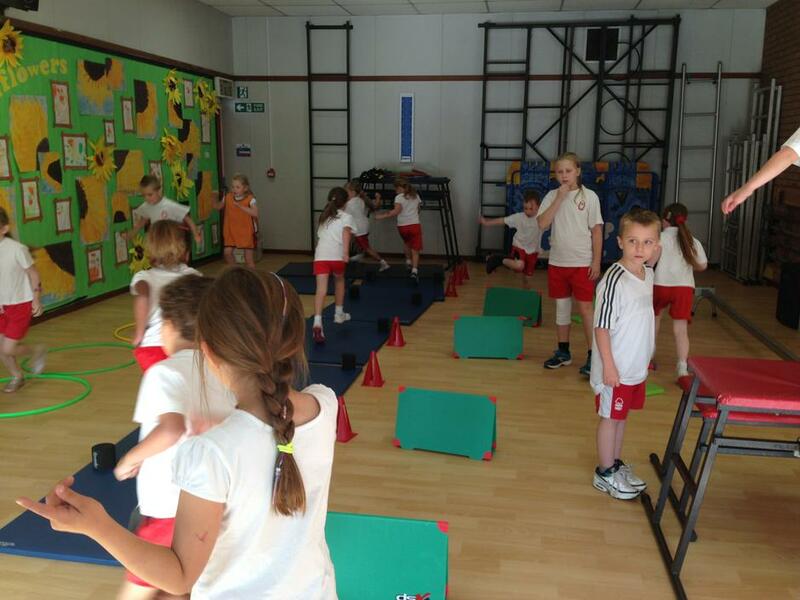 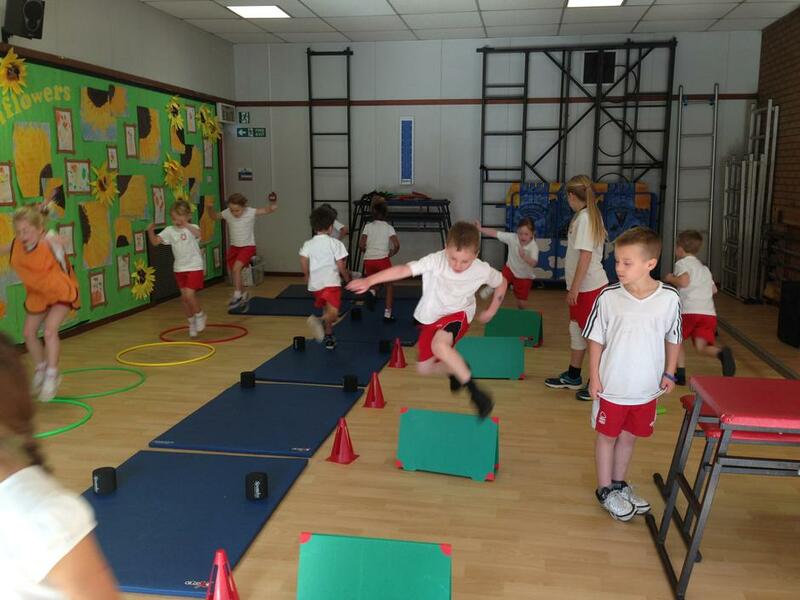 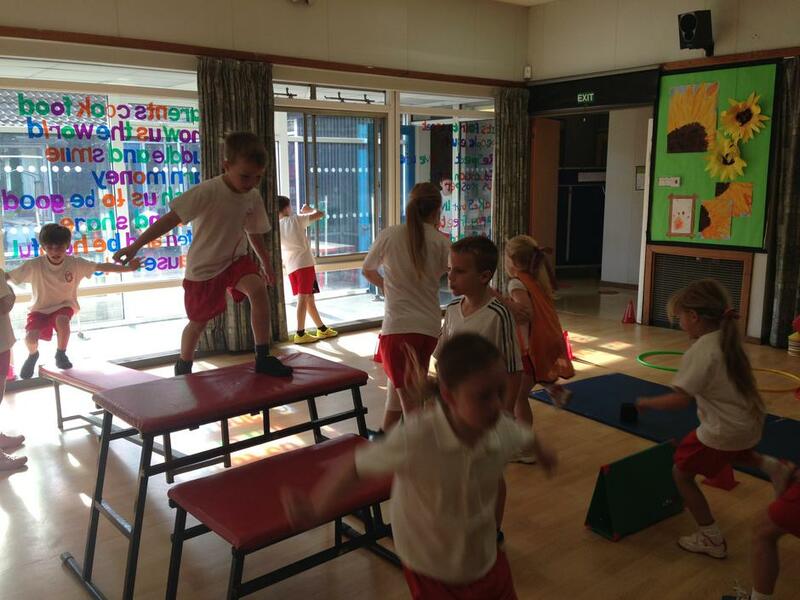 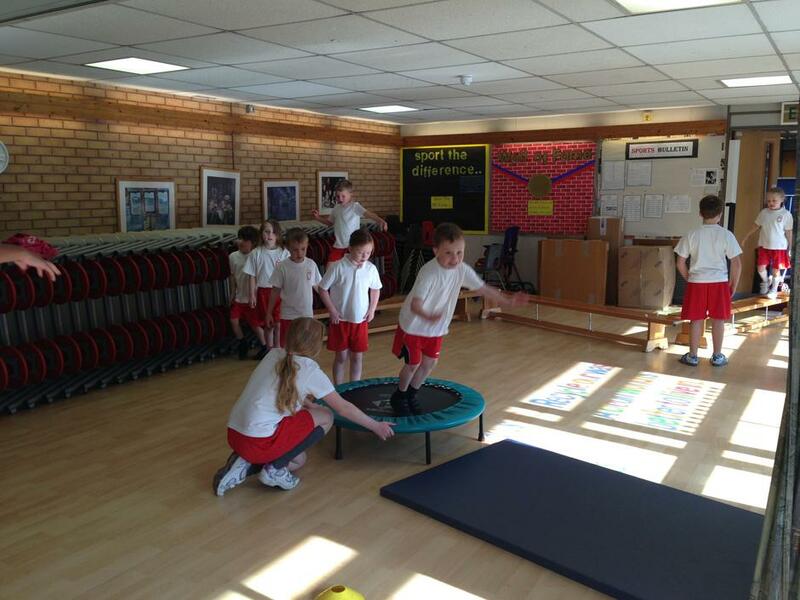 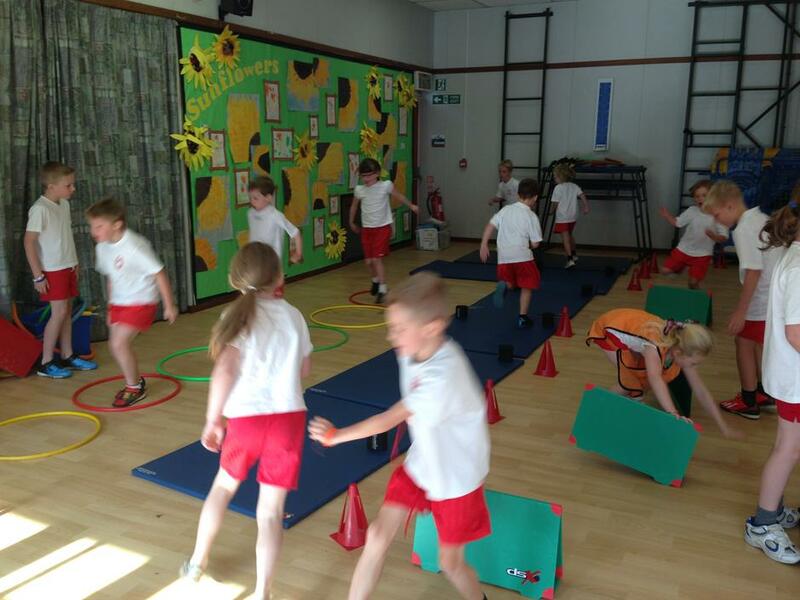 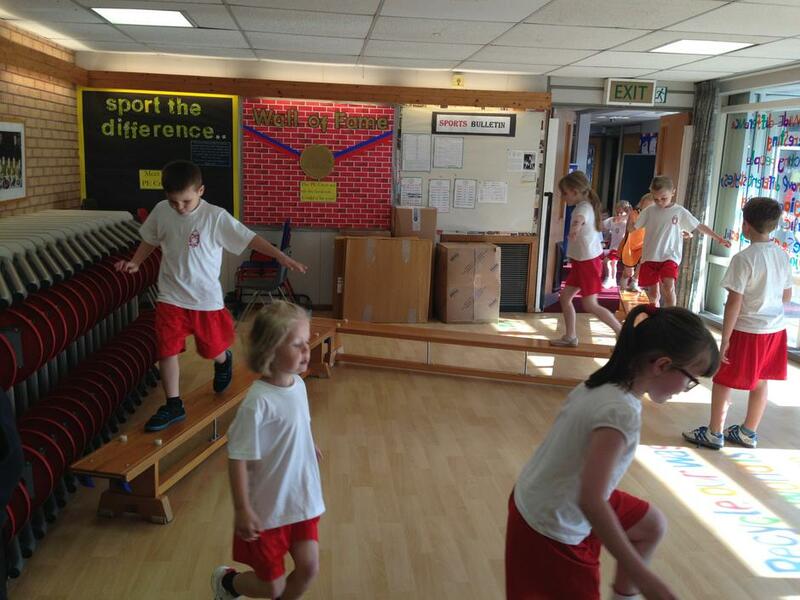 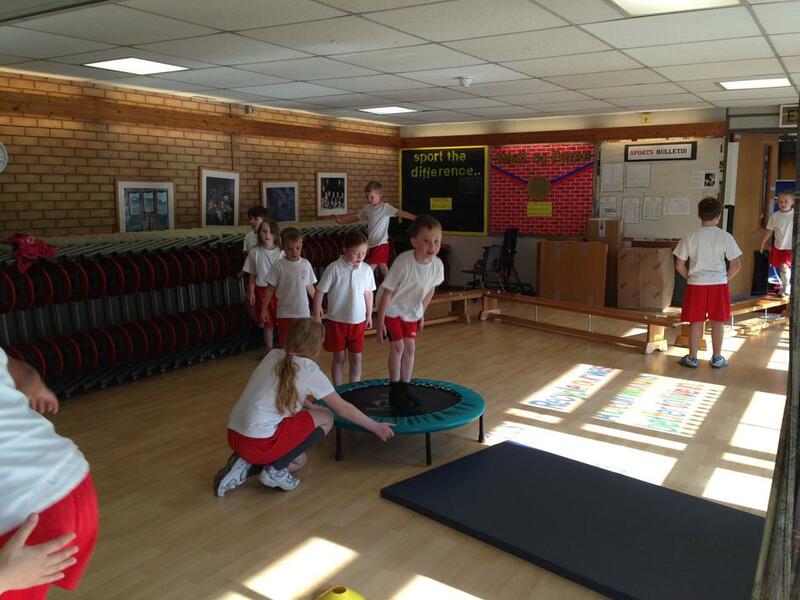 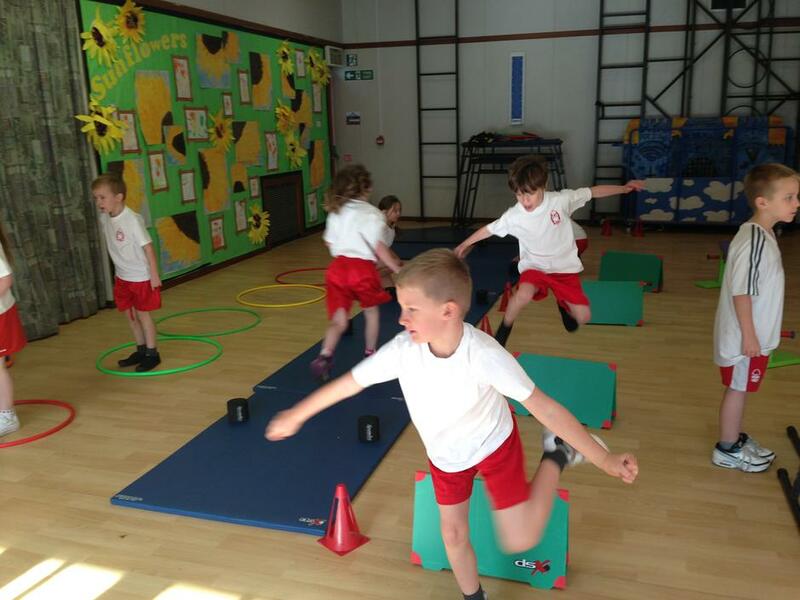 Cheetahs huffed and puffed and they blew their way through the September FunFit session! 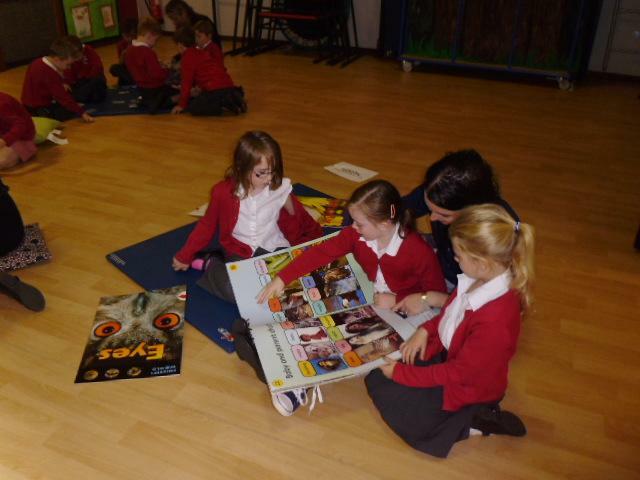 Cheetahs you are now in possession of your first Meerkat Mission and you will receive a new mission each week. 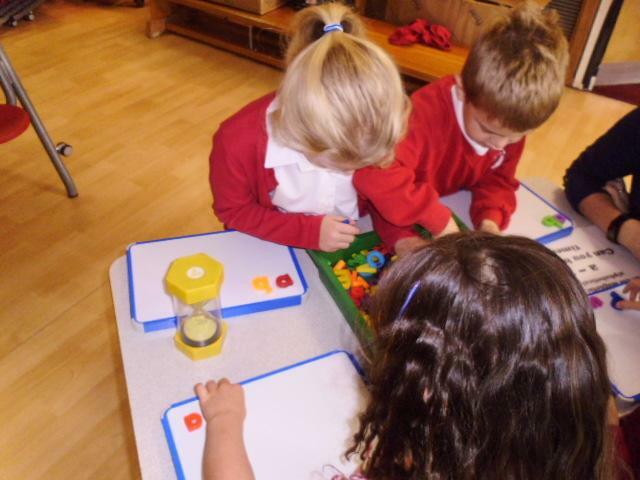 There is no time limit and you don't even need to hand anything in. 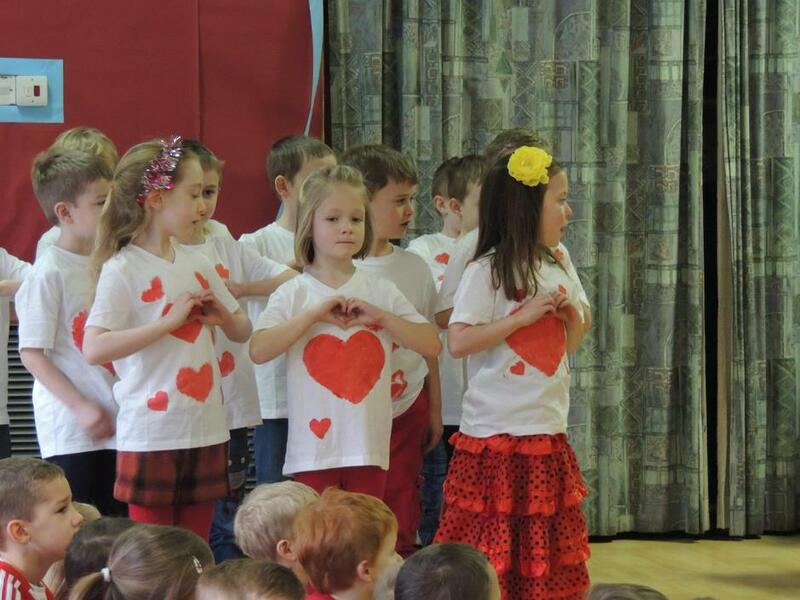 The missions are intended to be fun and home-friendly activities for both you and your parents to share. 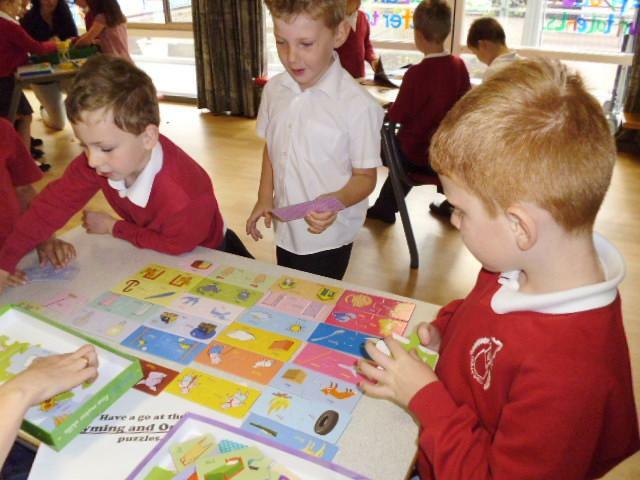 NatWest bank have launched a Pocket Money website with lots of fun games, puzzles and activities for children. 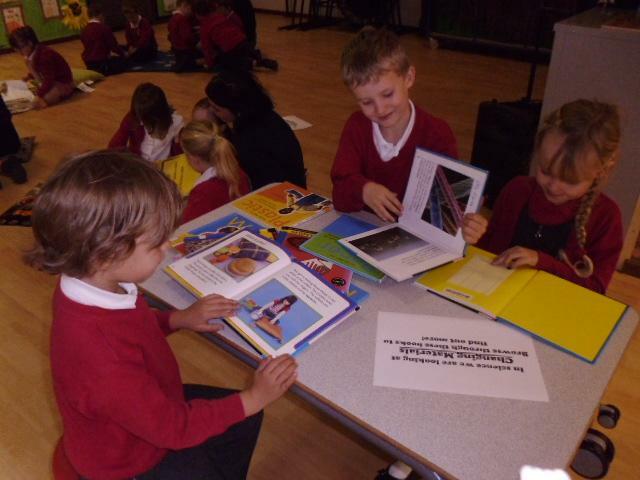 Why don't you have a further look?